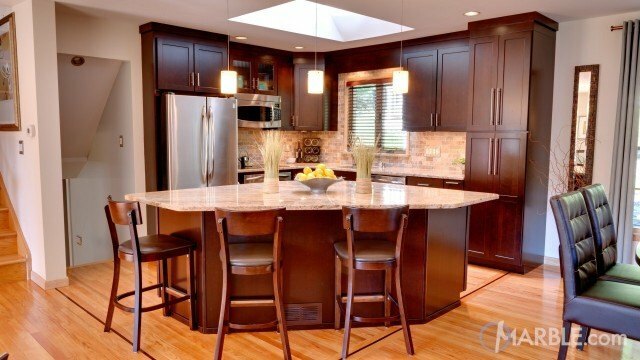 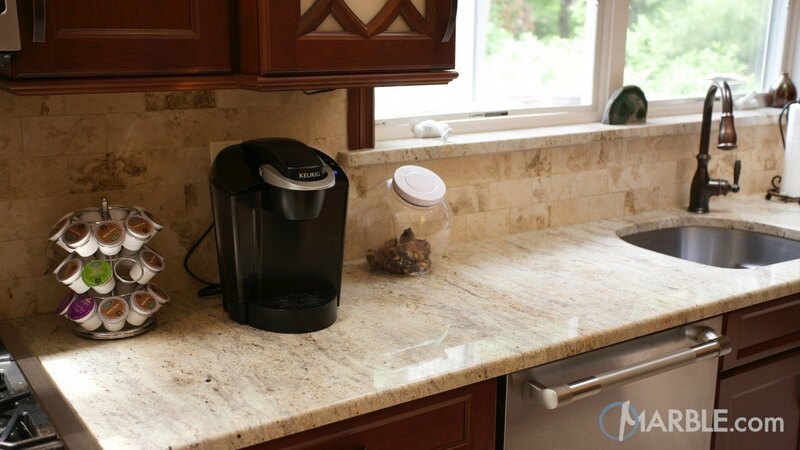 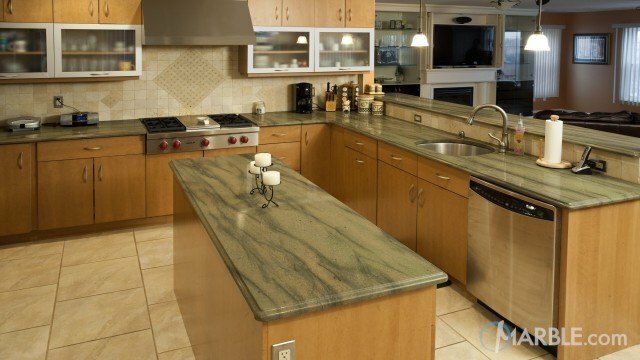 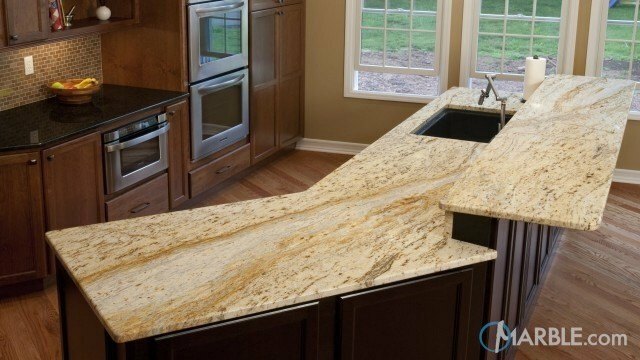 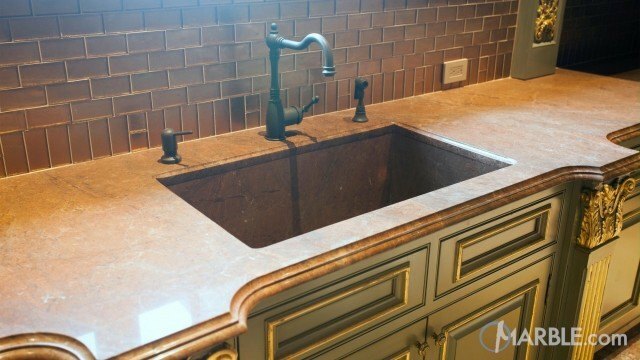 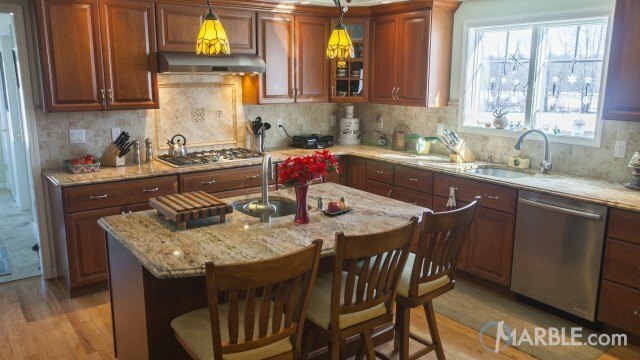 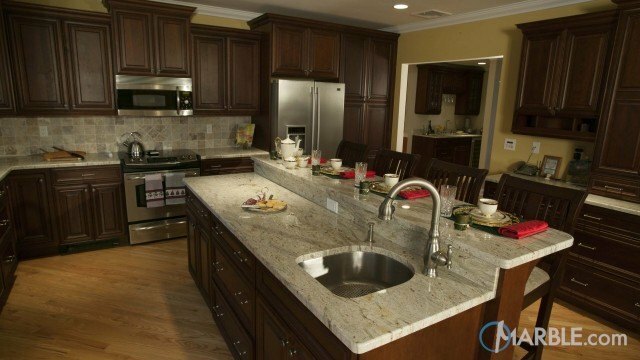 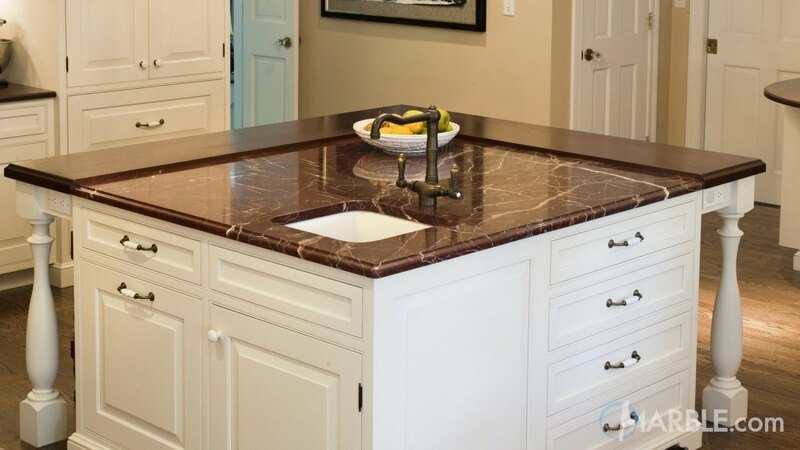 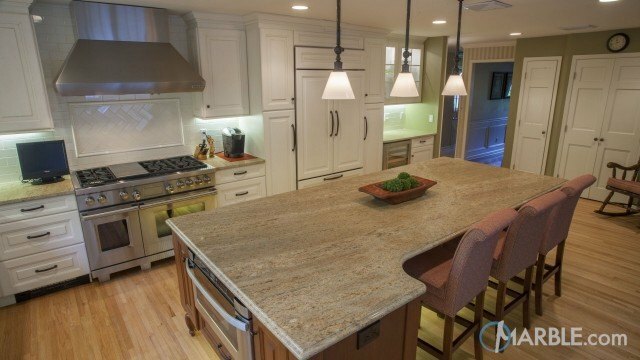 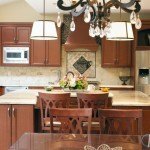 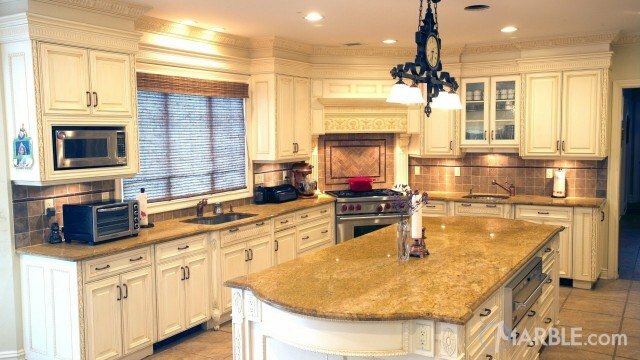 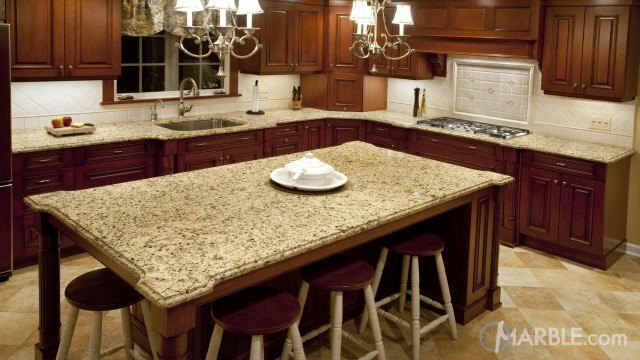 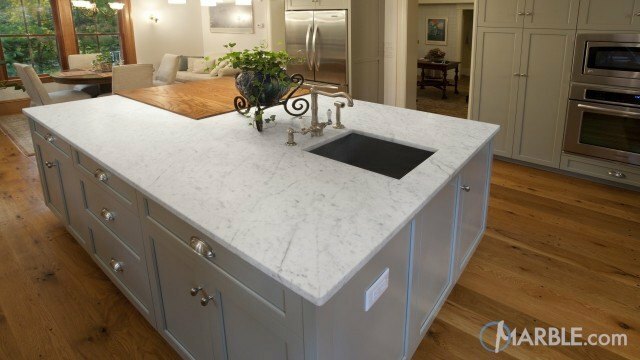 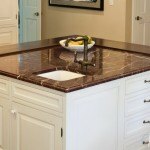 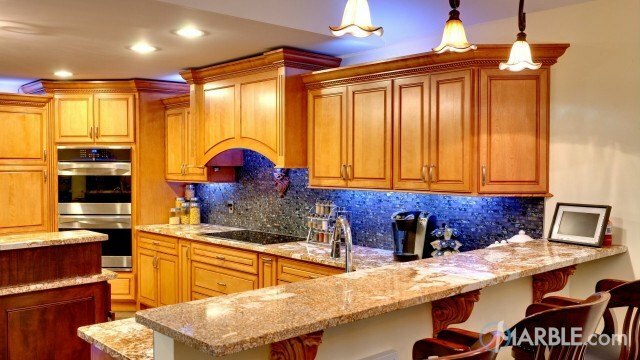 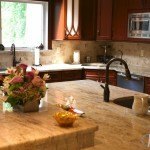 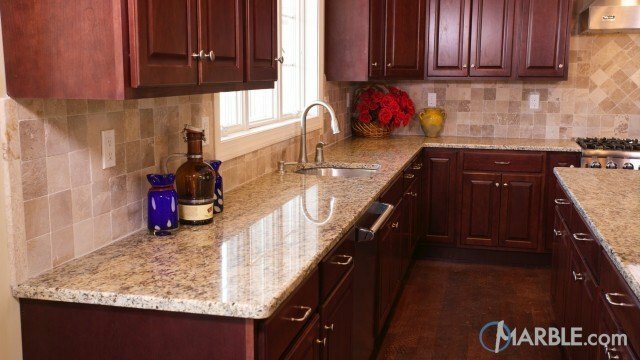 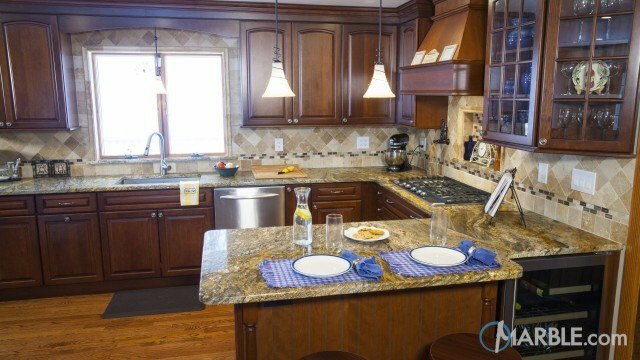 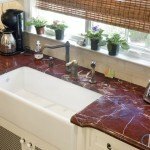 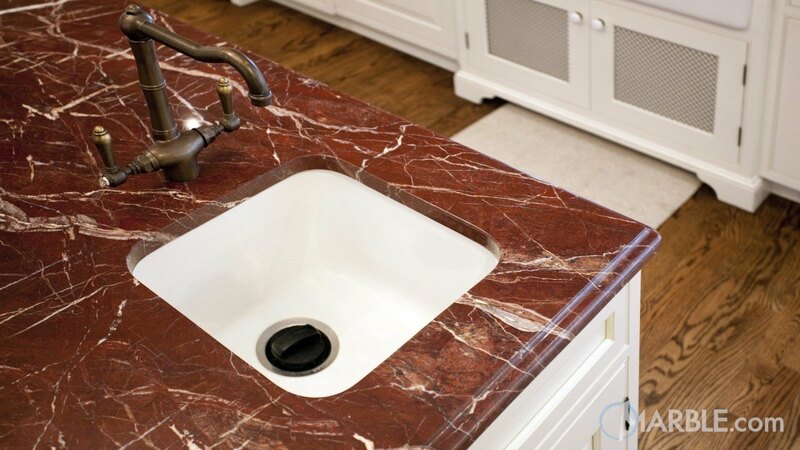 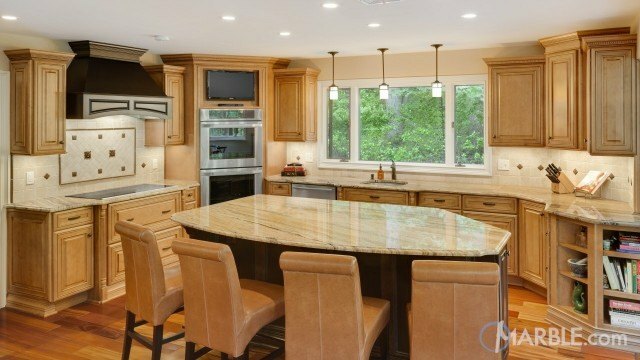 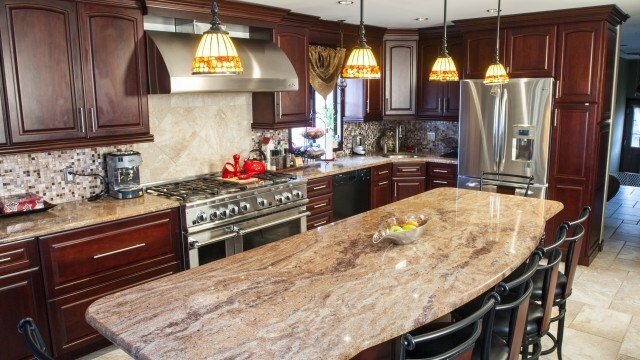 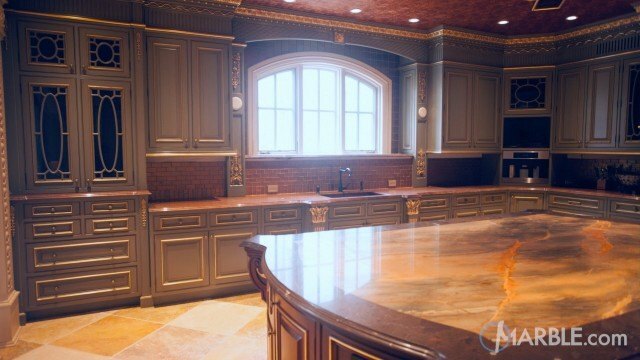 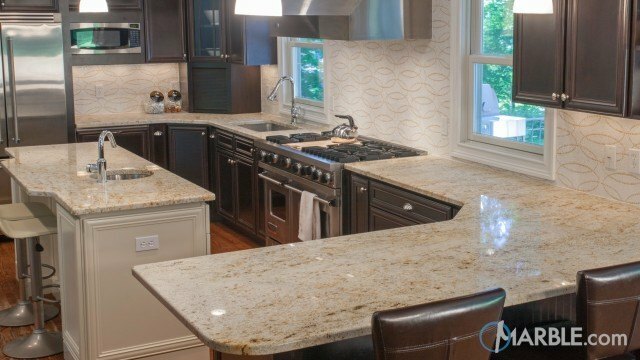 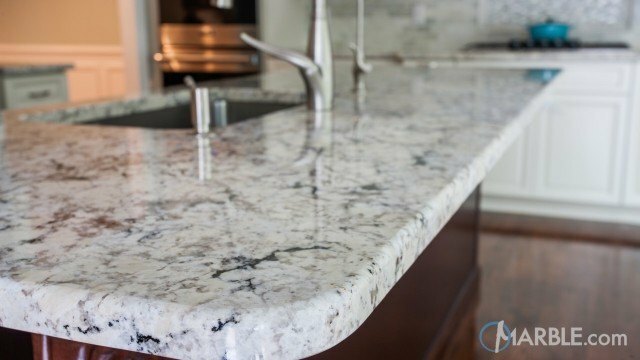 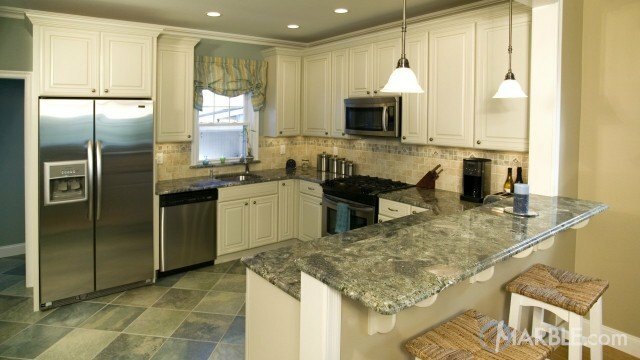 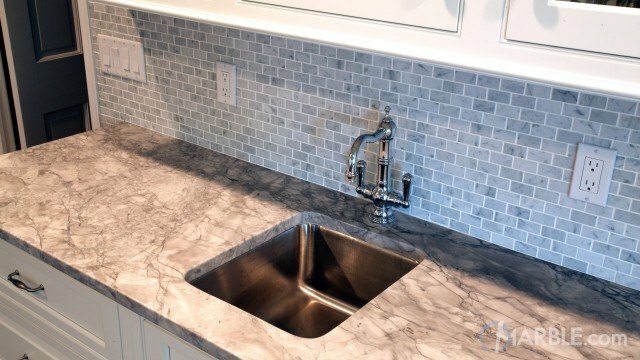 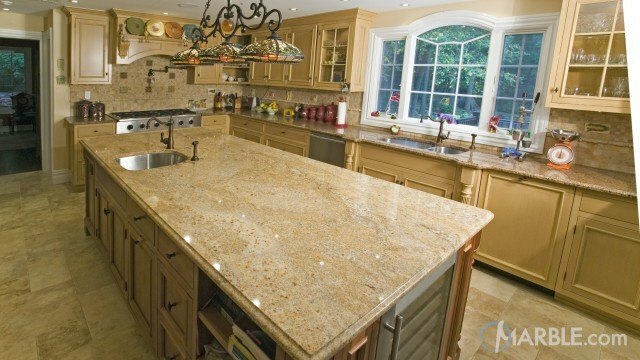 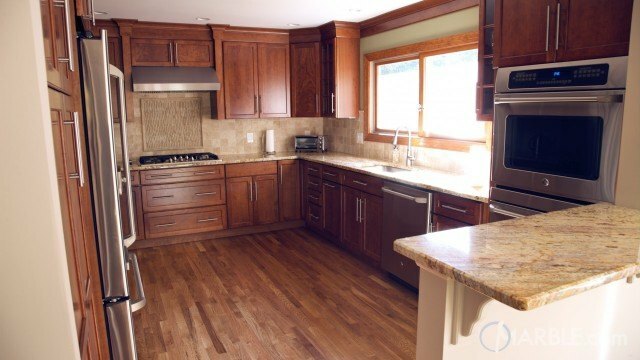 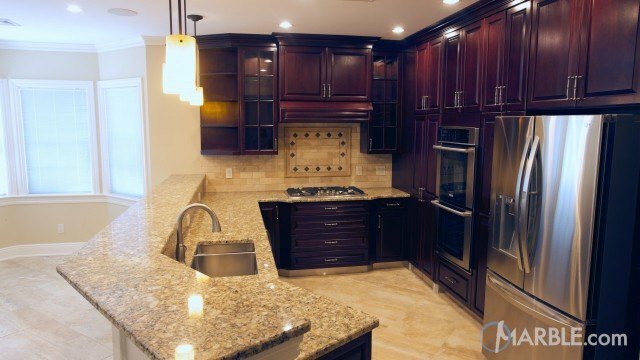 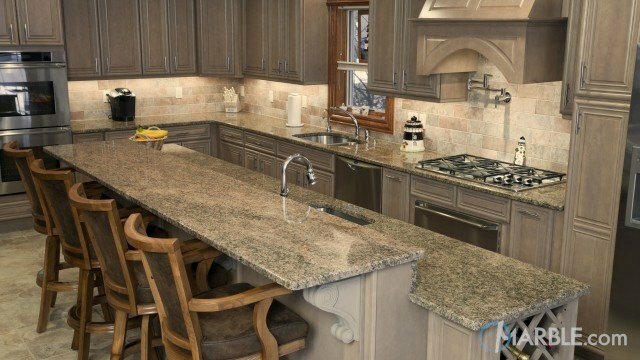 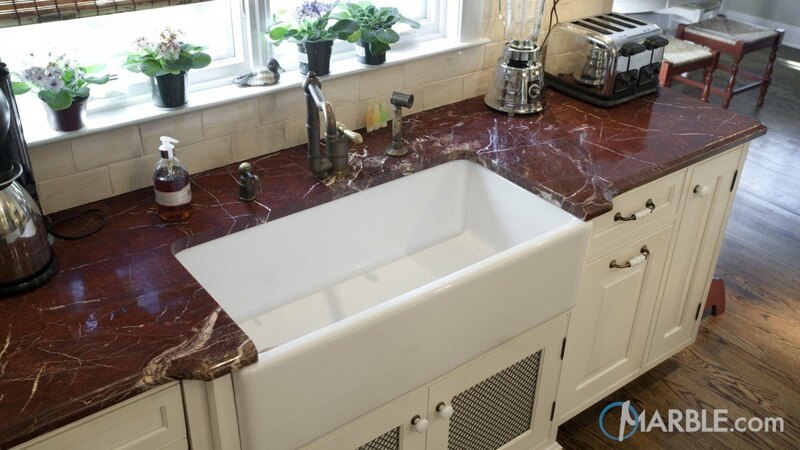 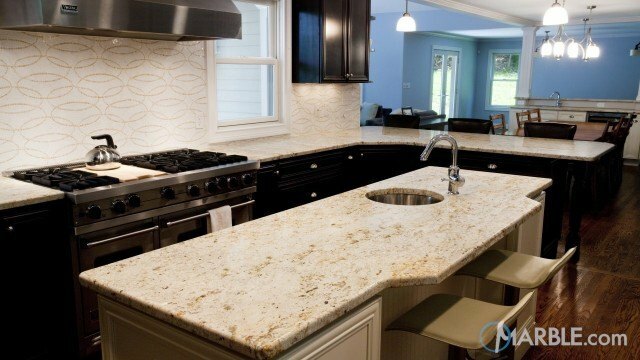 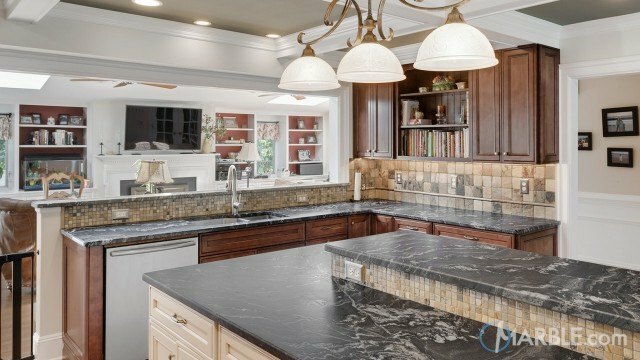 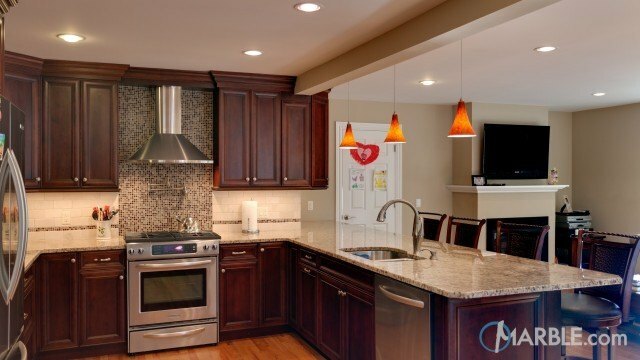 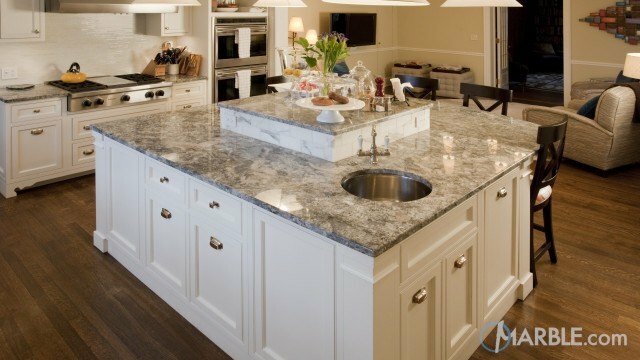 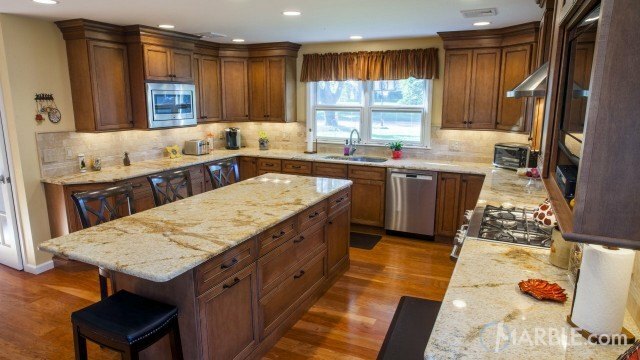 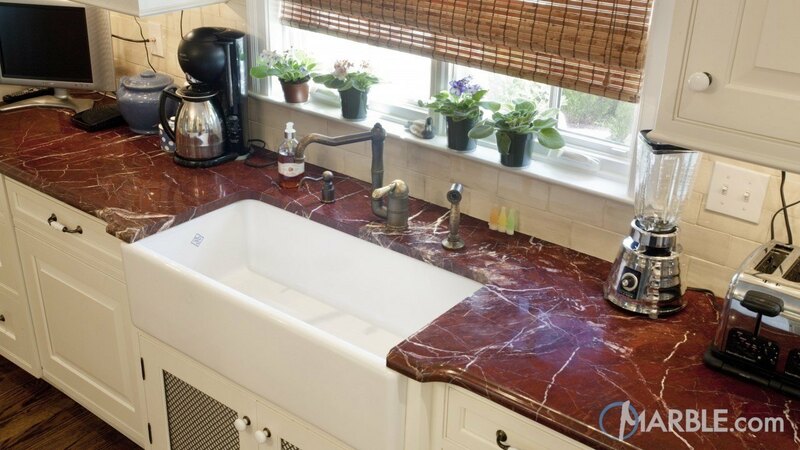 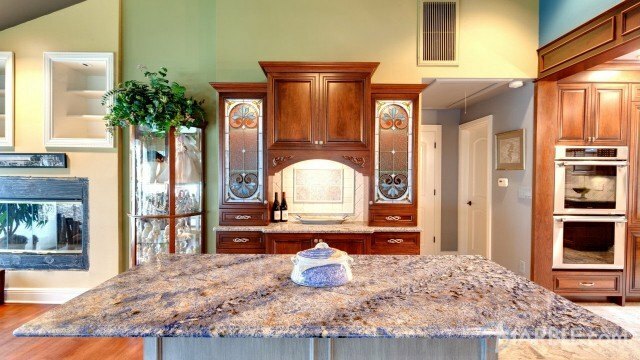 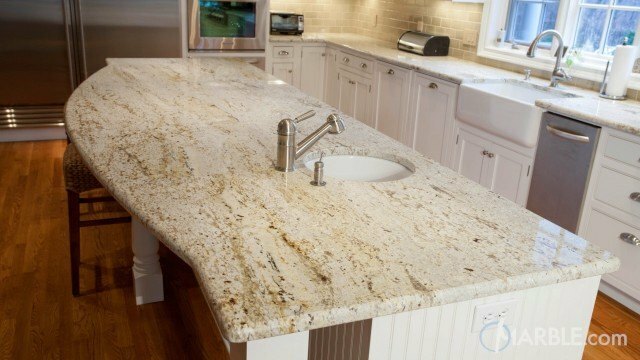 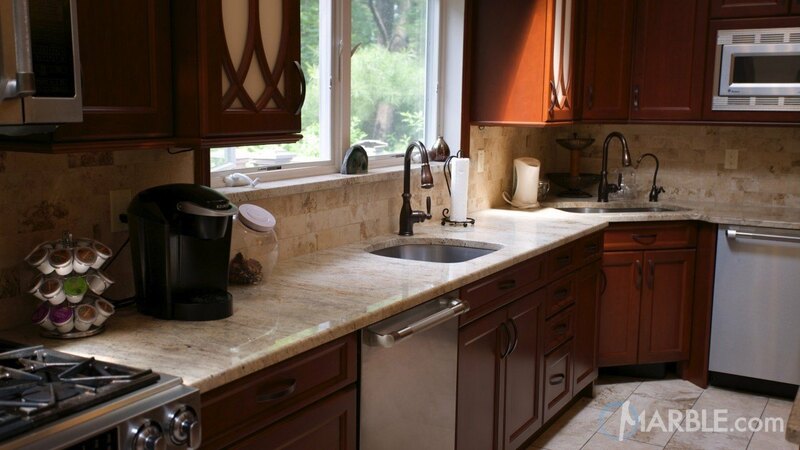 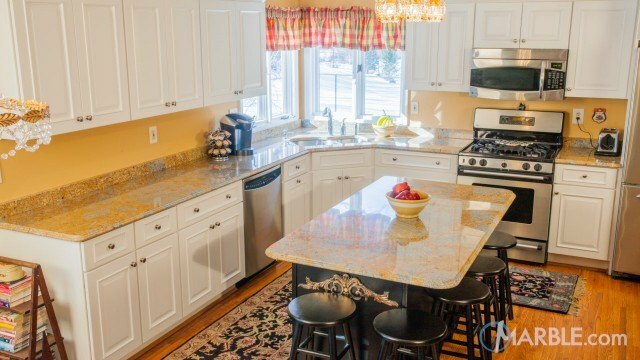 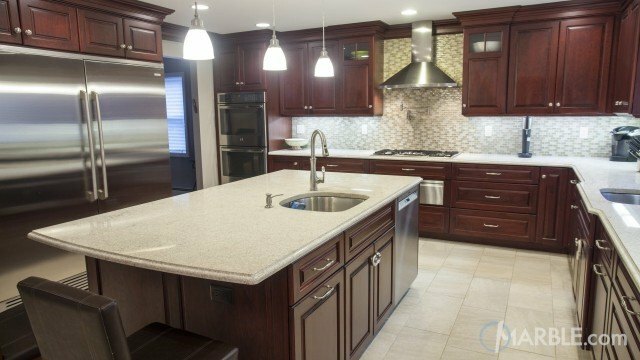 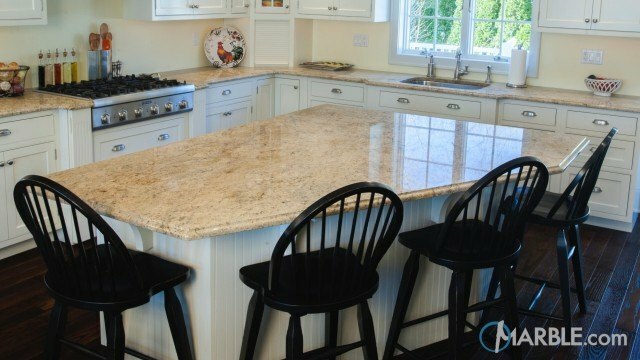 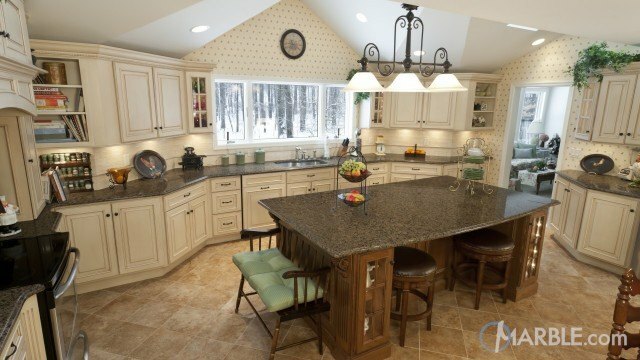 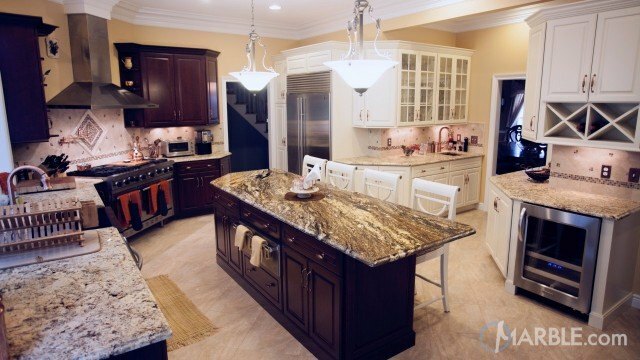 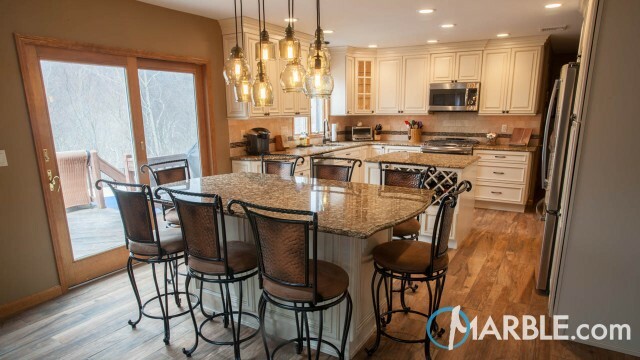 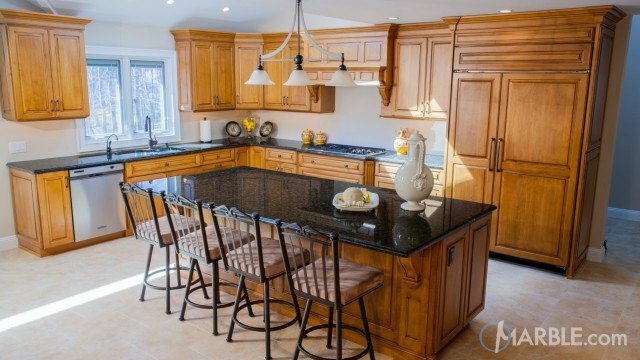 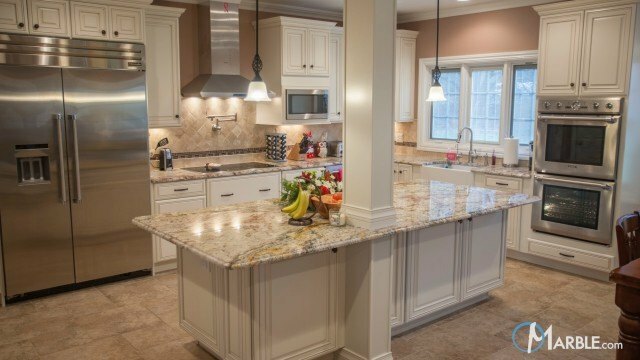 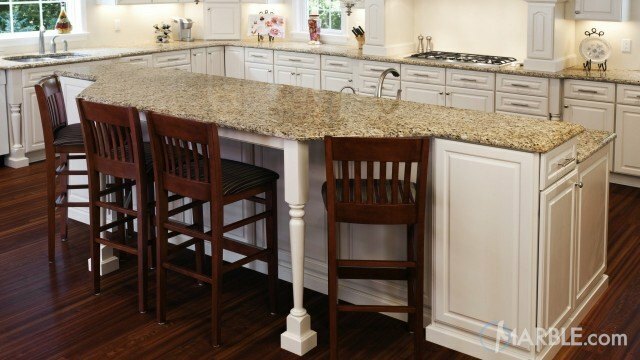 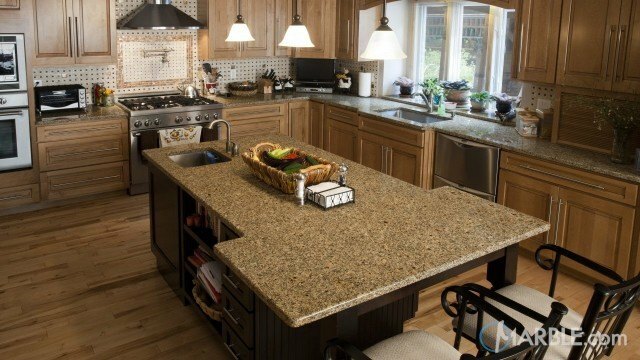 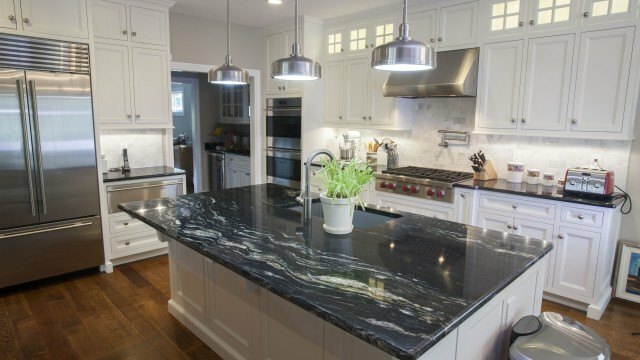 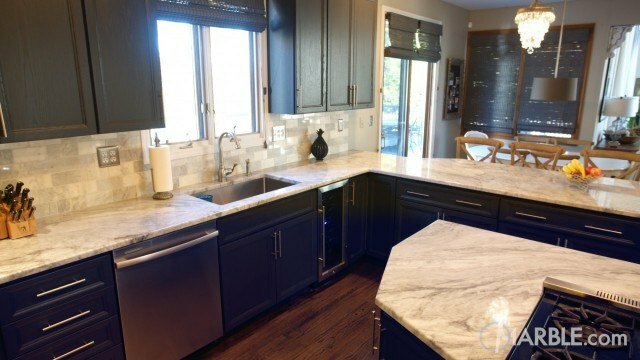 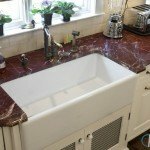 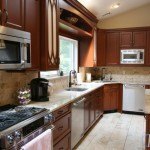 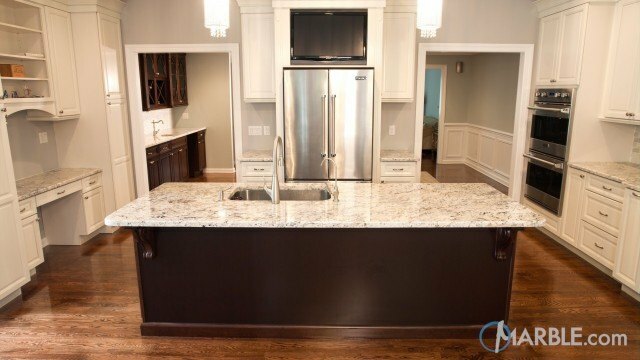 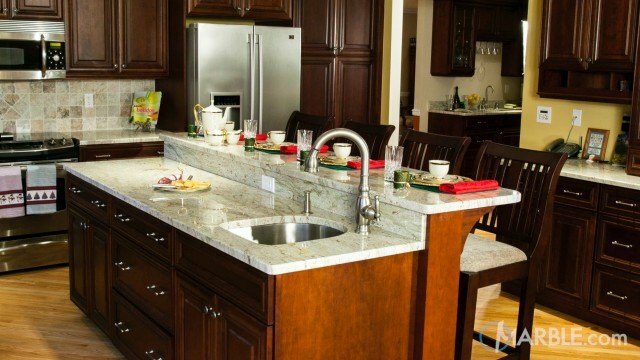 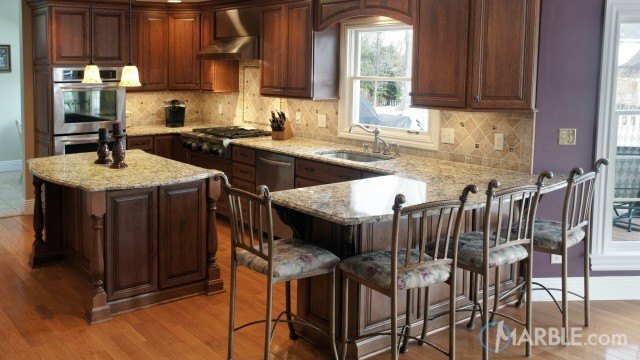 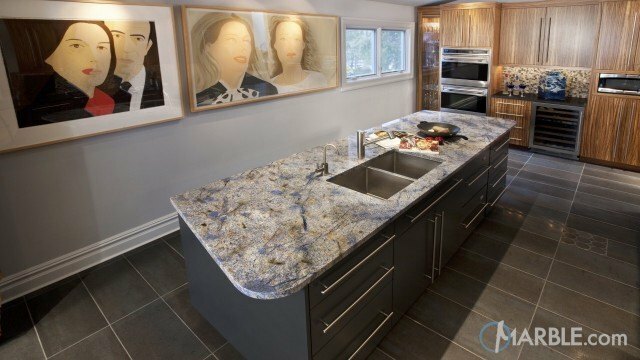 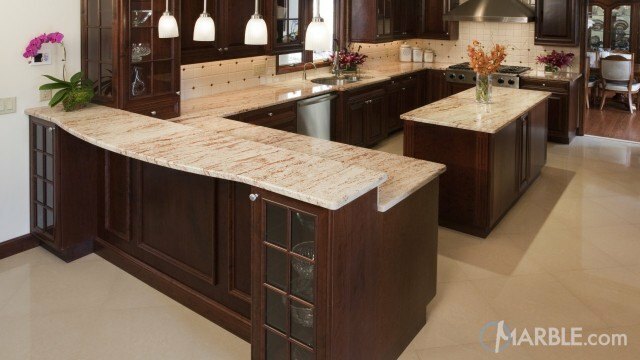 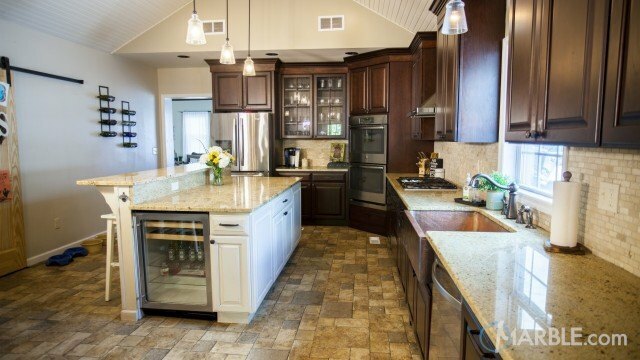 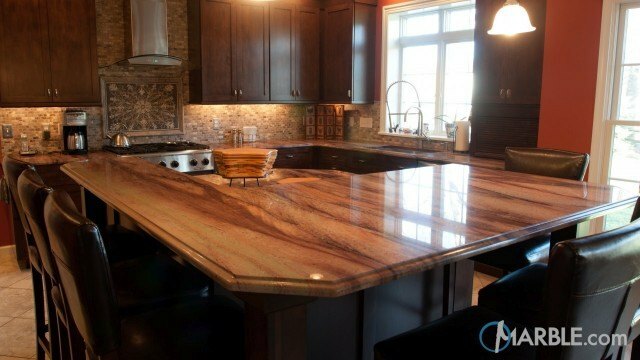 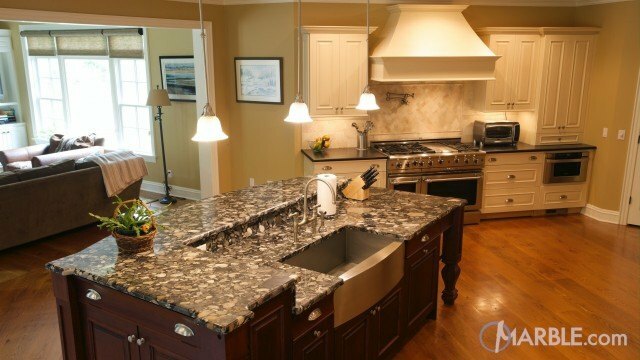 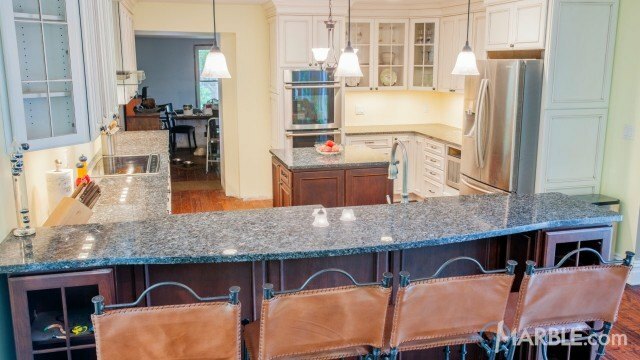 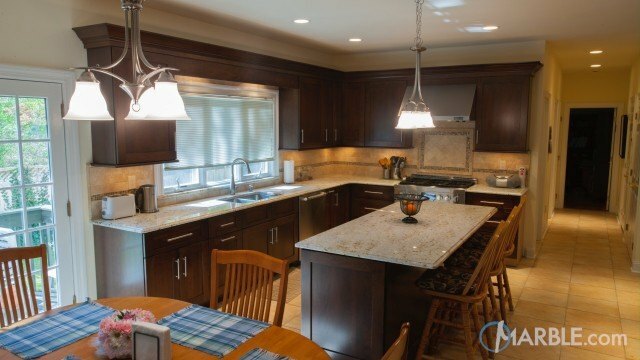 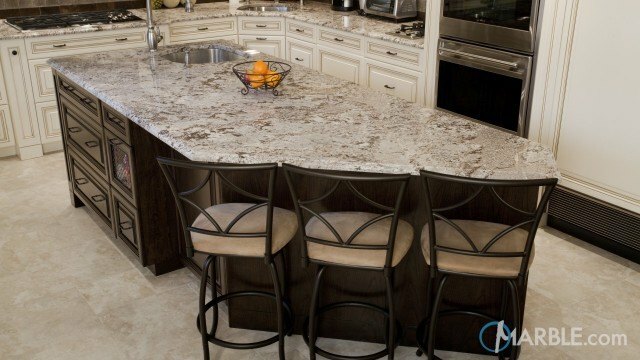 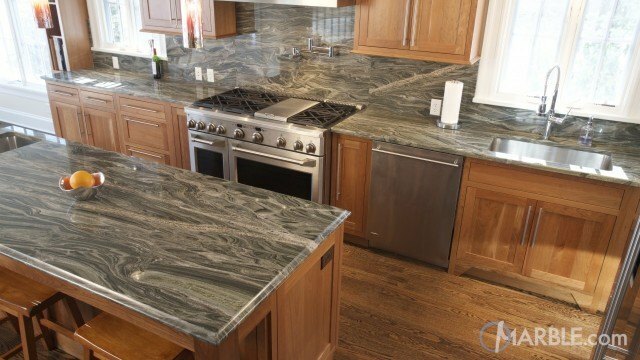 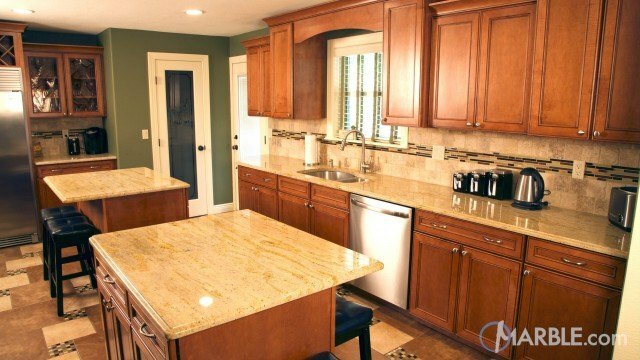 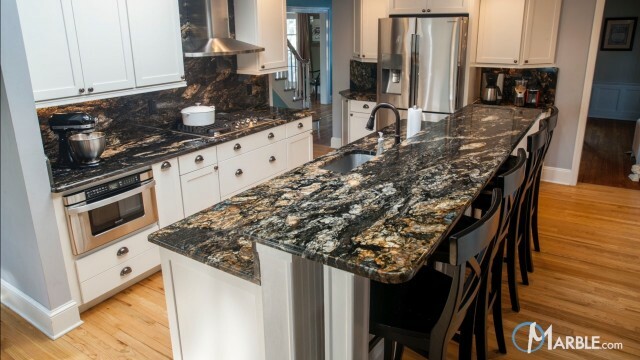 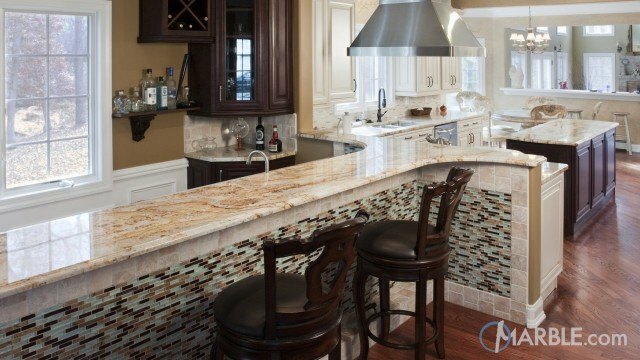 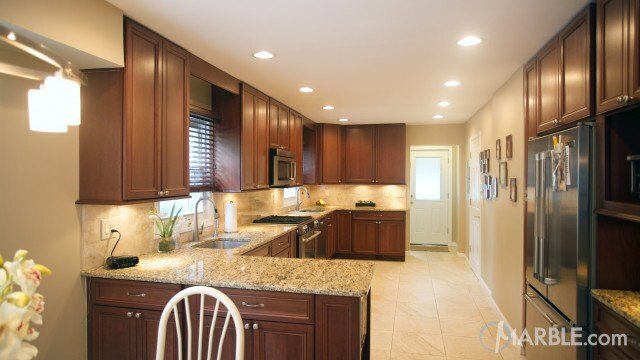 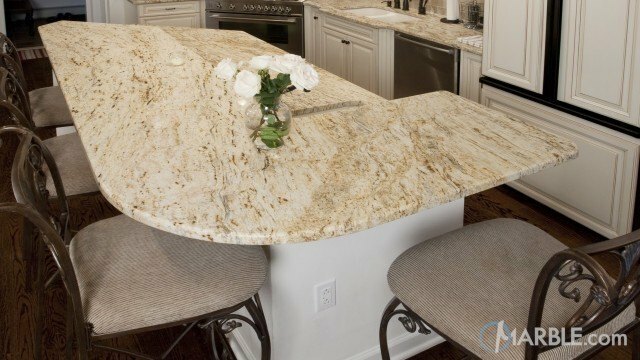 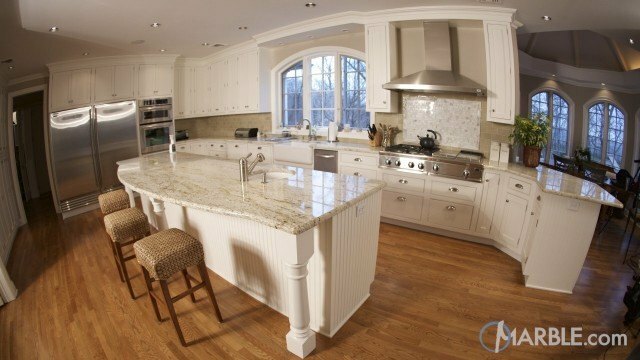 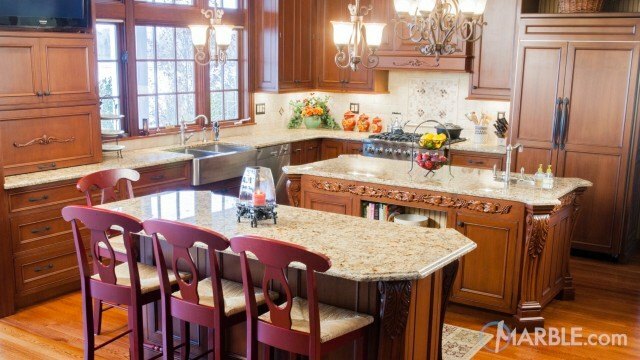 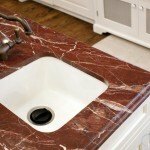 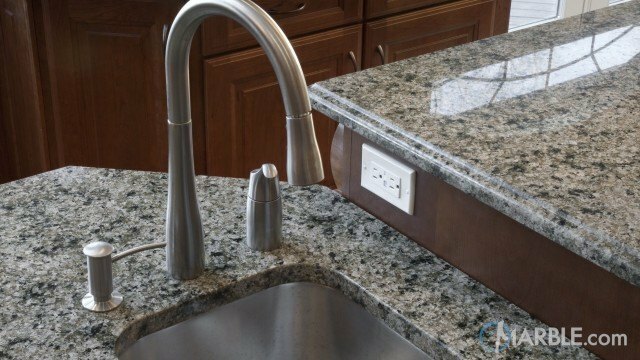 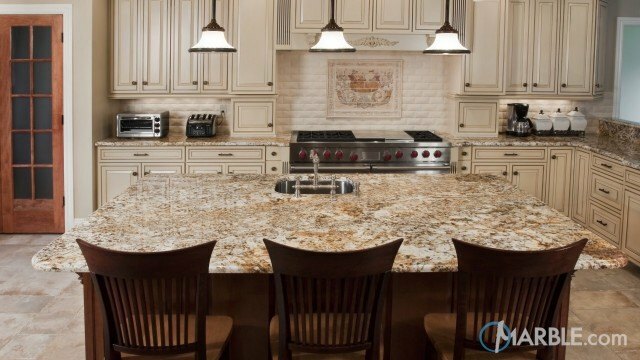 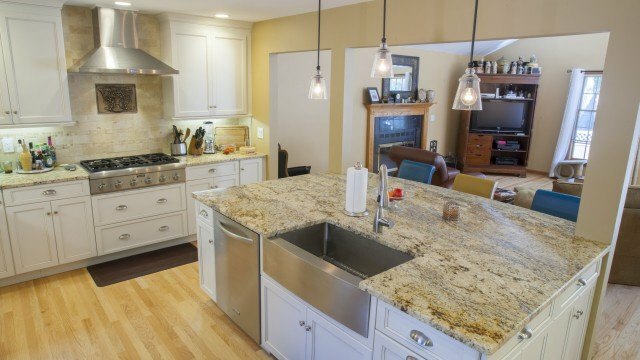 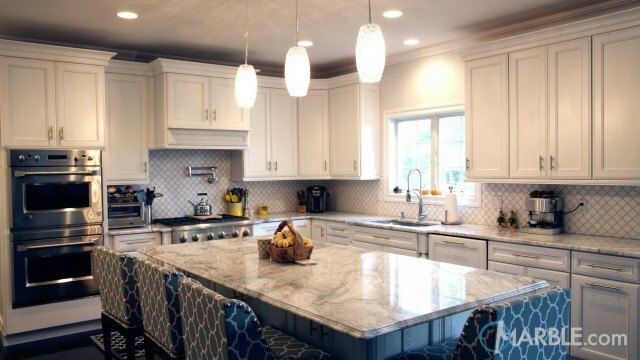 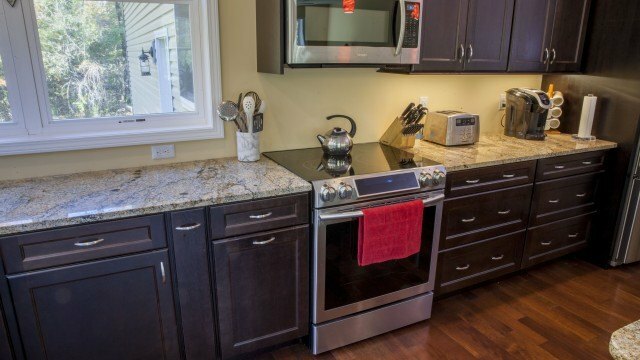 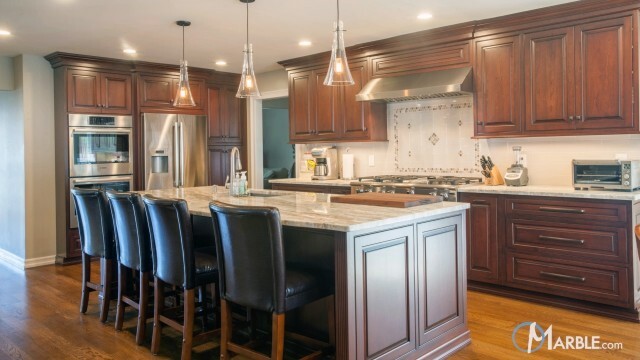 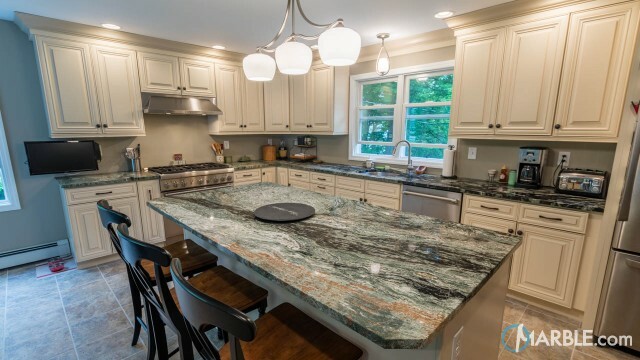 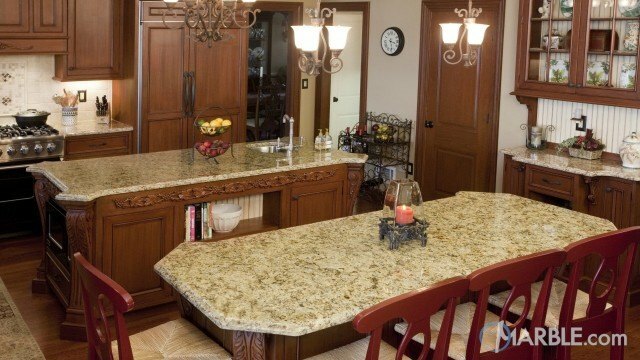 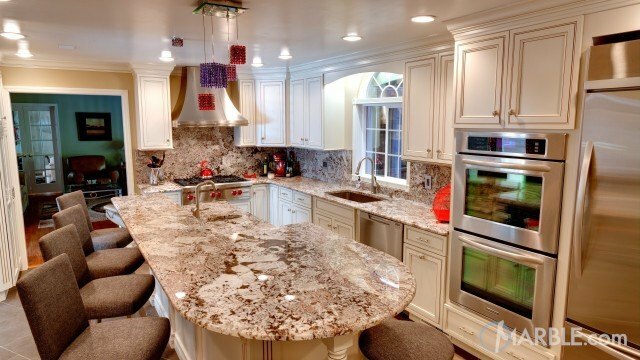 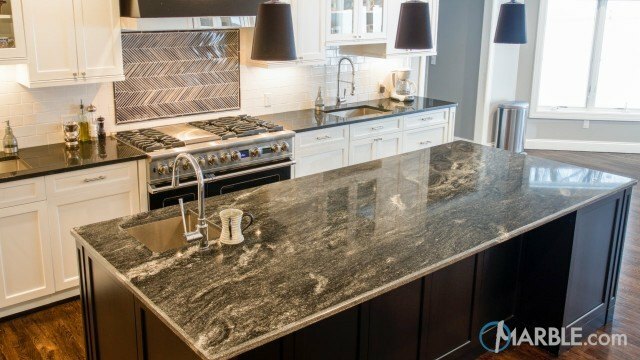 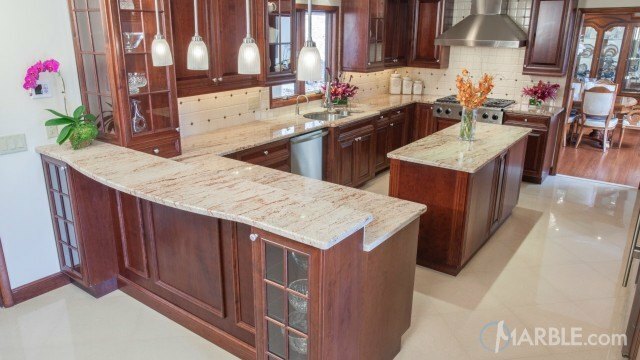 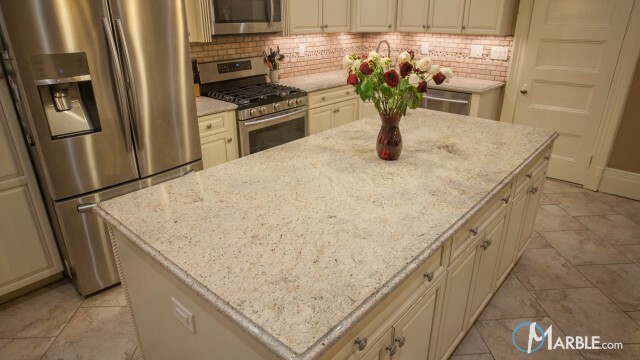 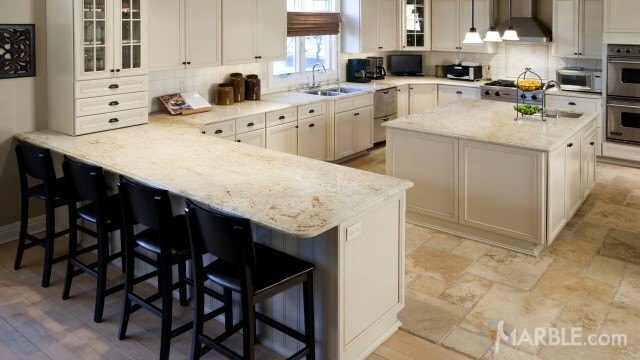 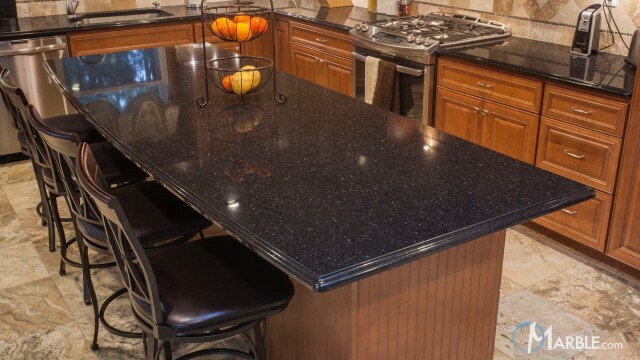 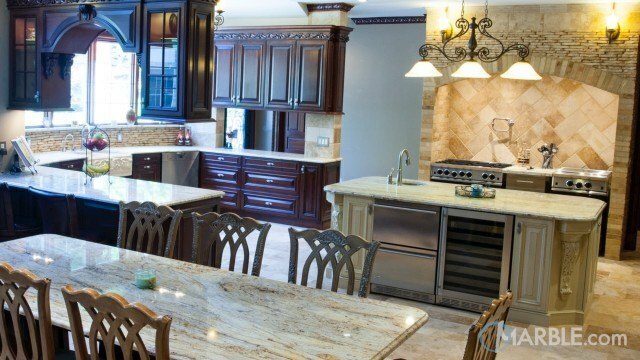 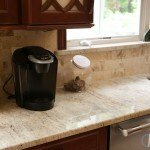 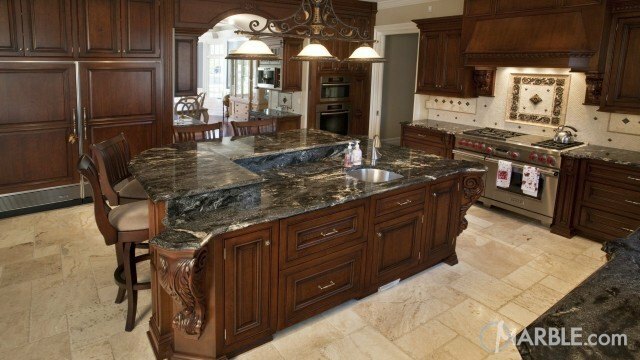 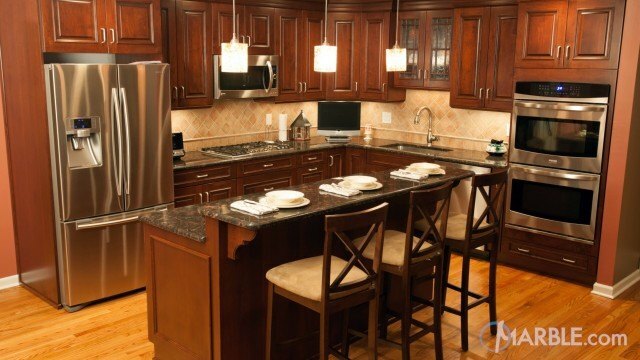 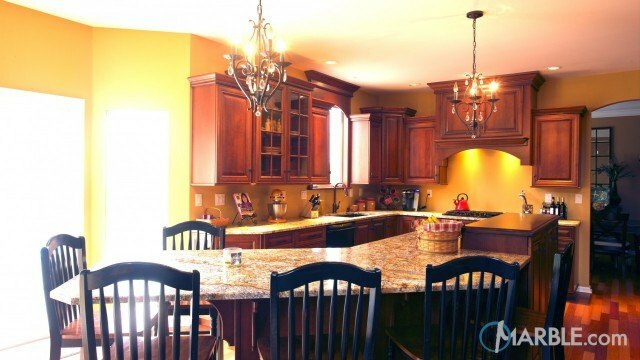 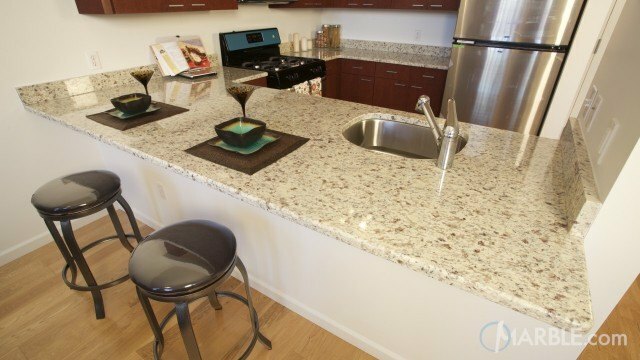 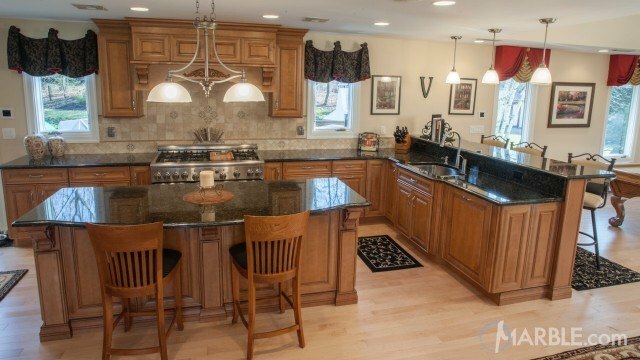 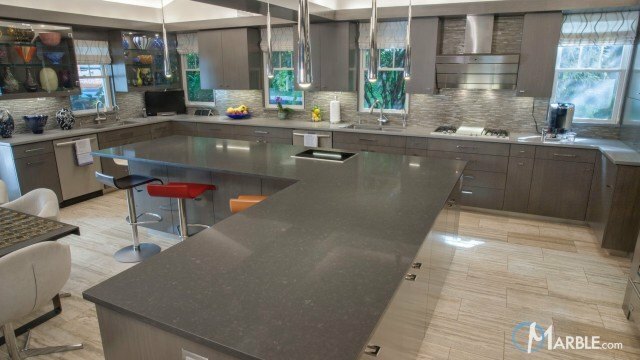 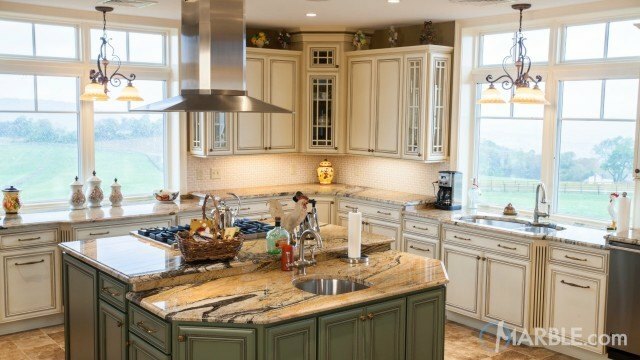 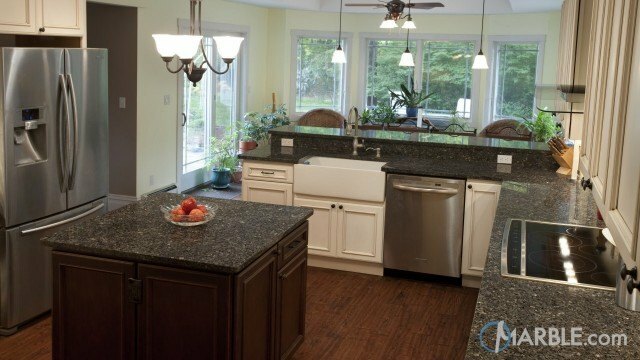 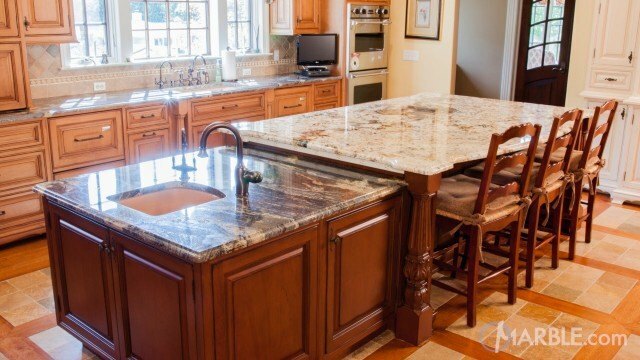 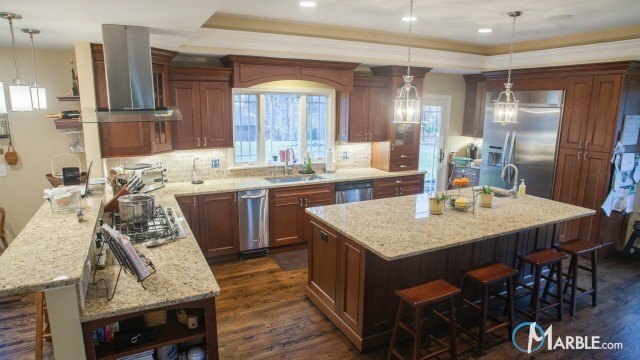 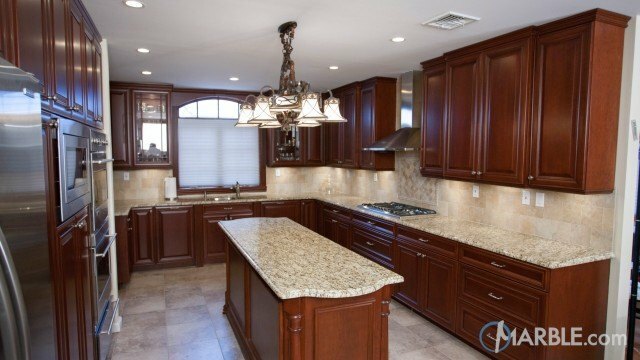 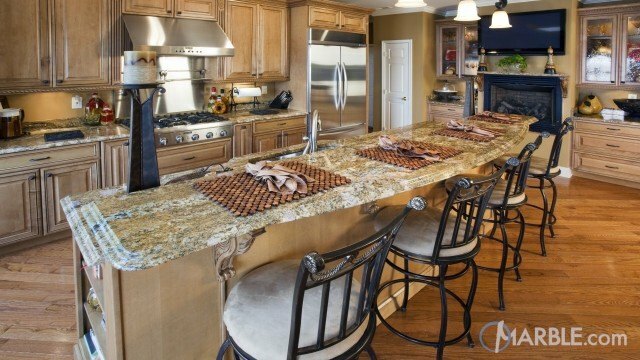 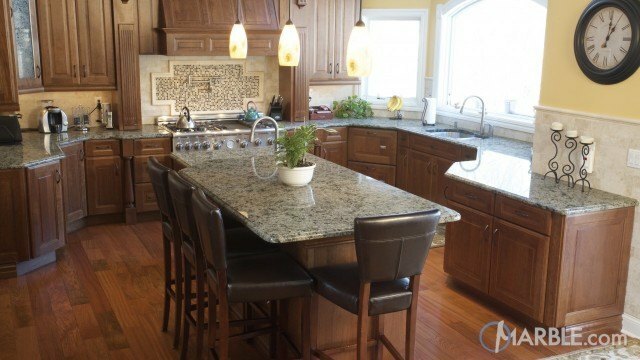 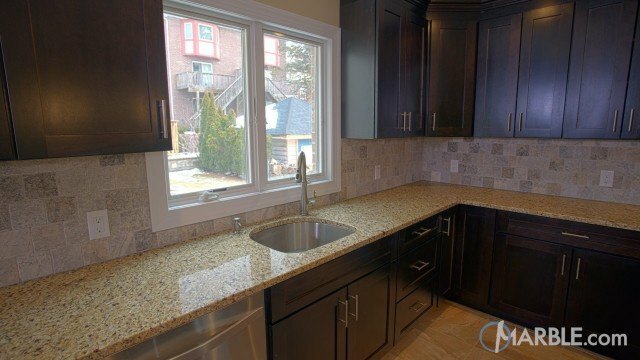 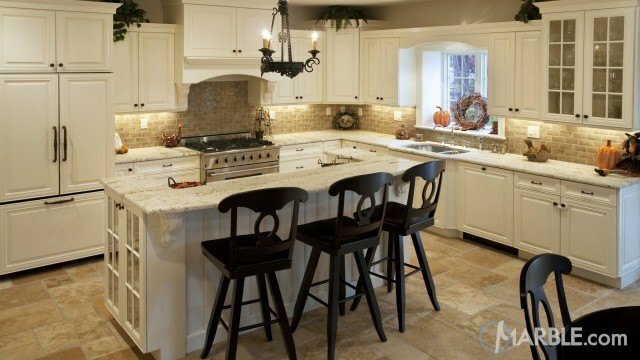 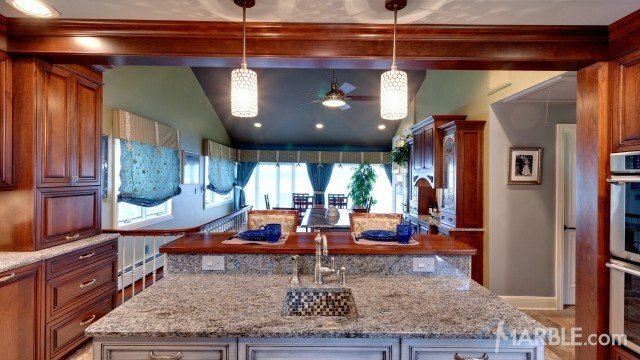 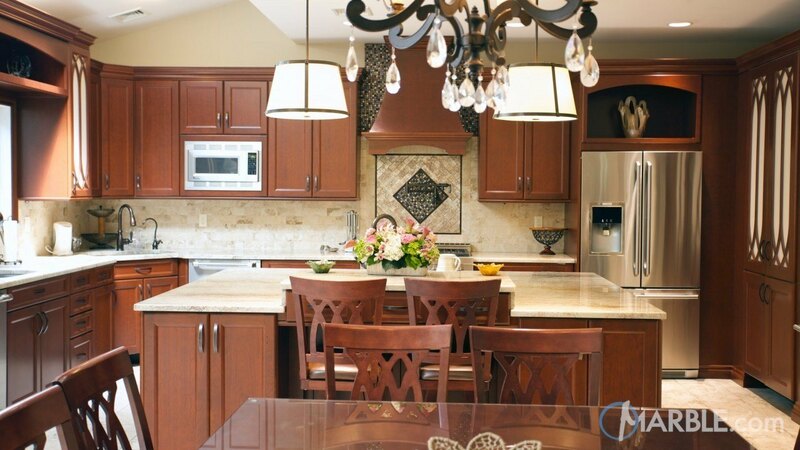 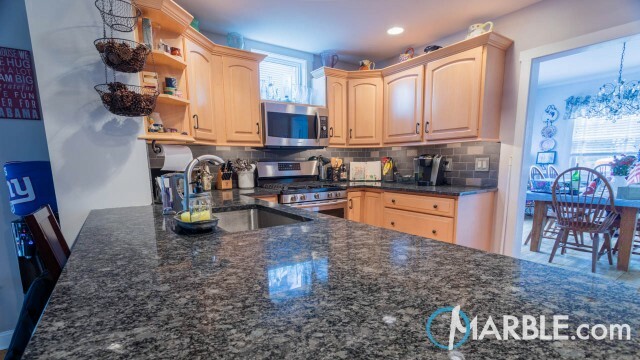 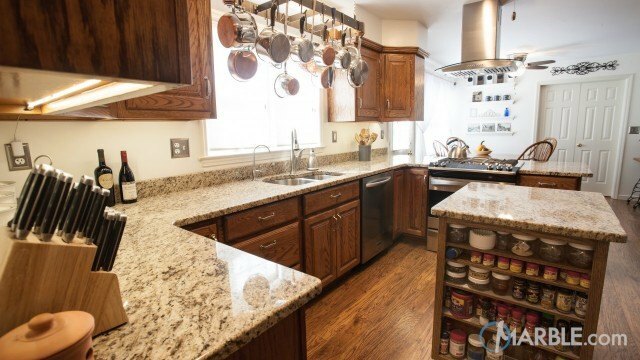 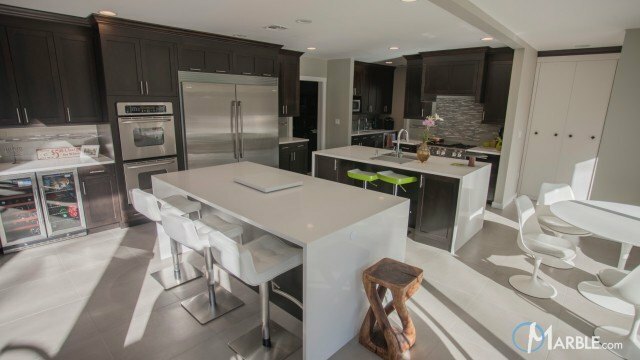 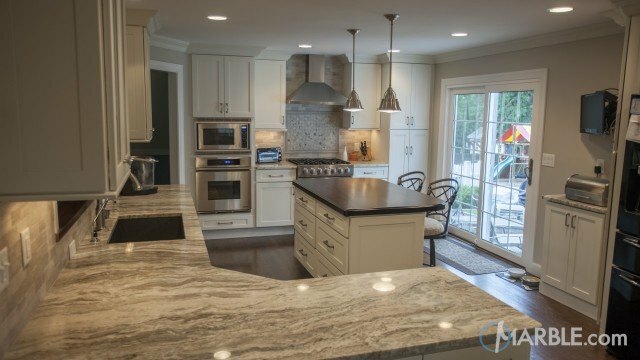 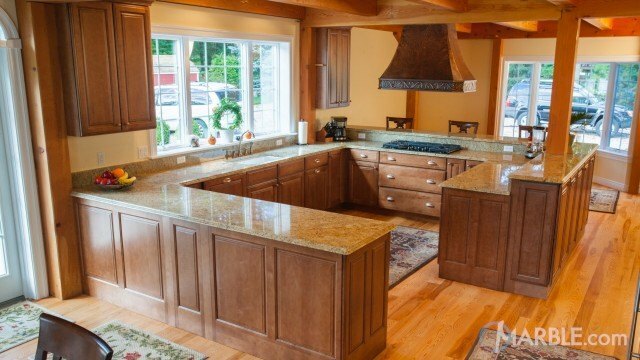 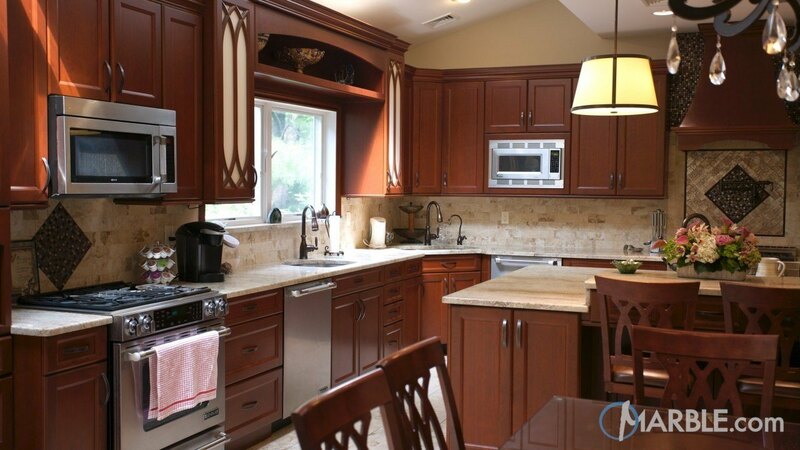 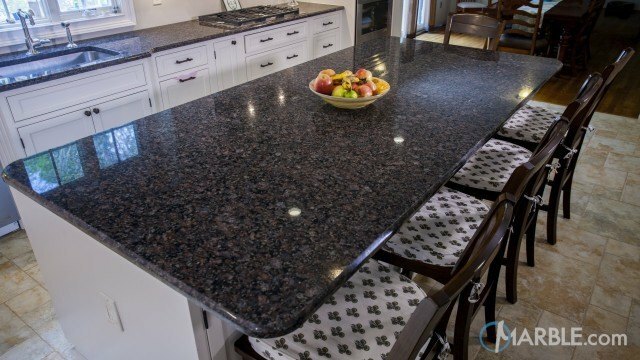 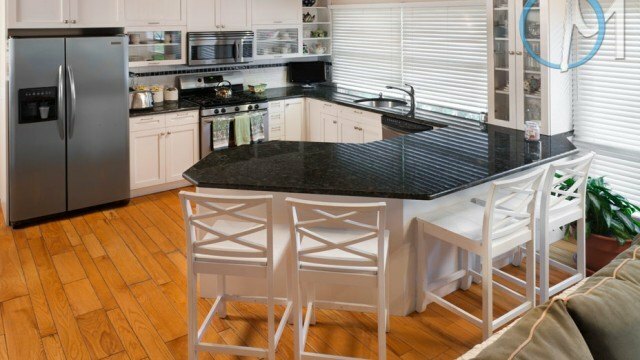 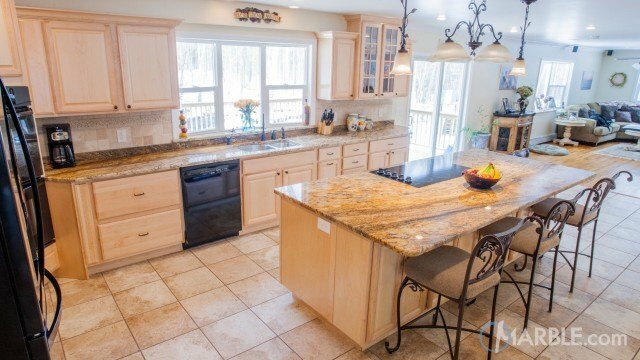 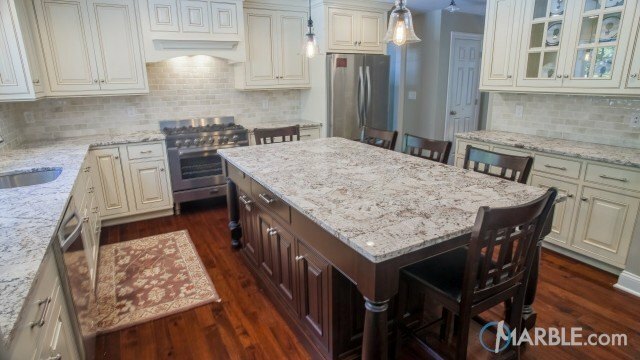 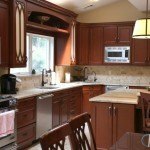 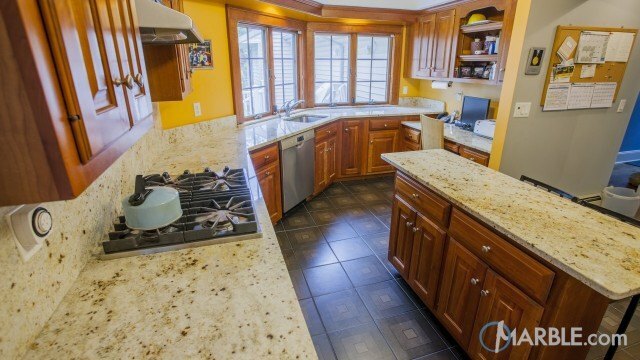 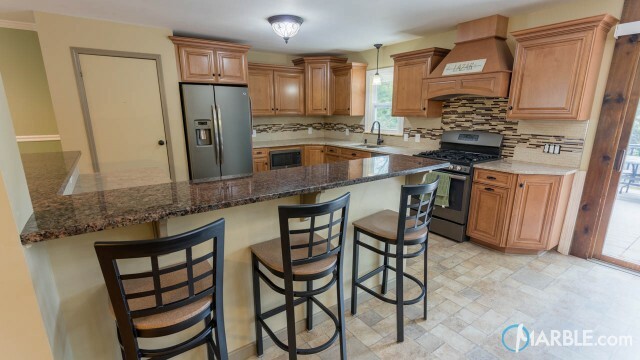 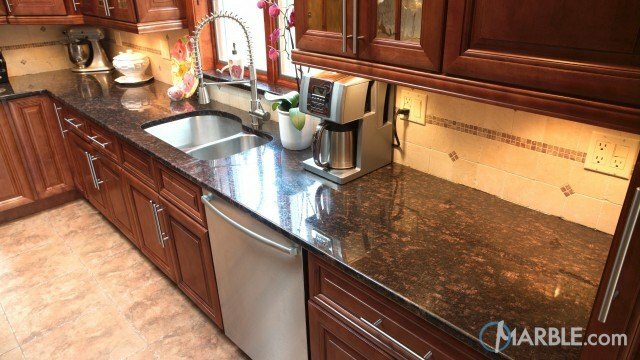 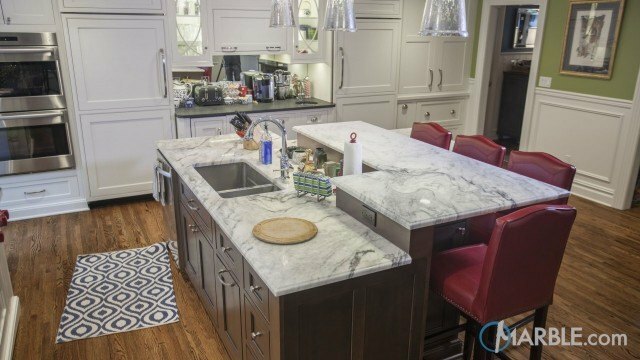 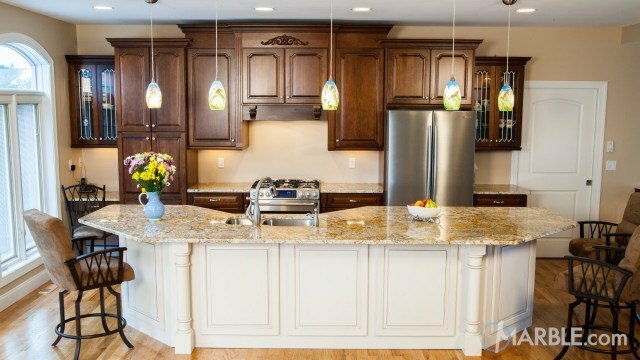 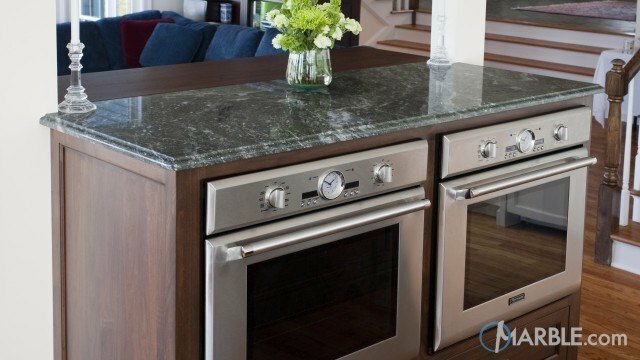 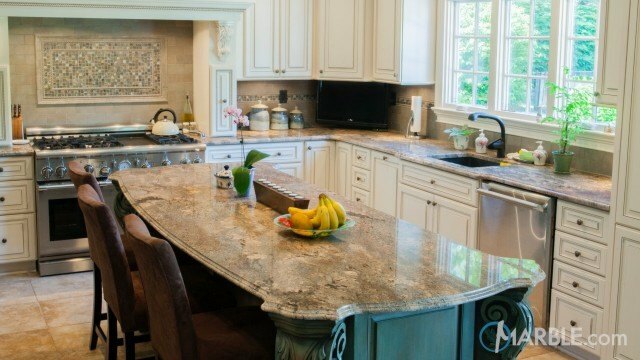 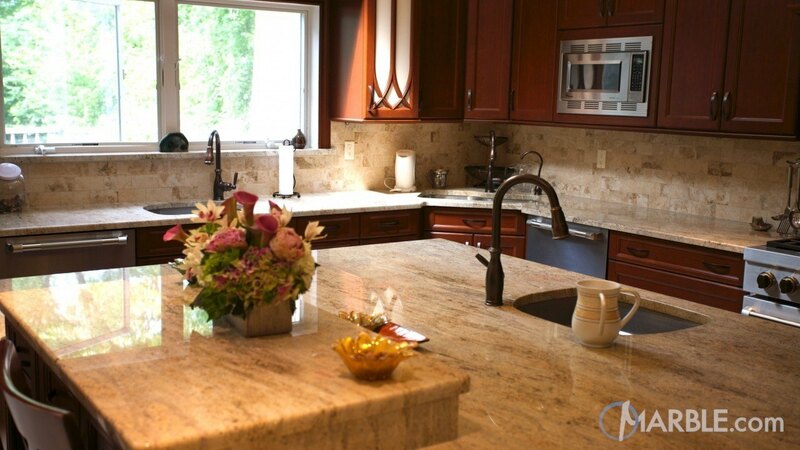 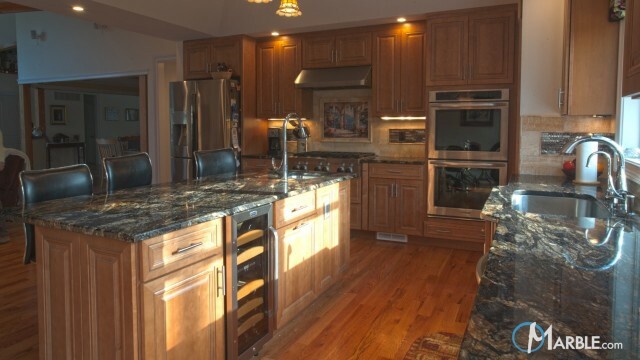 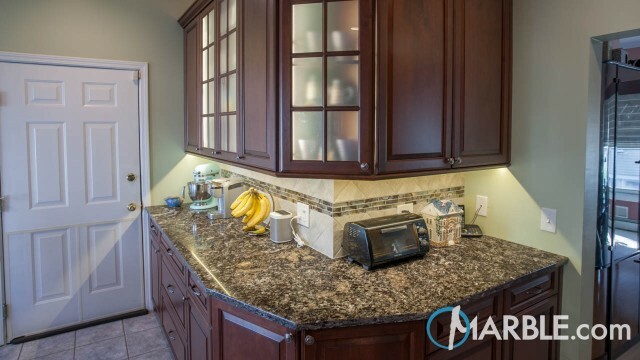 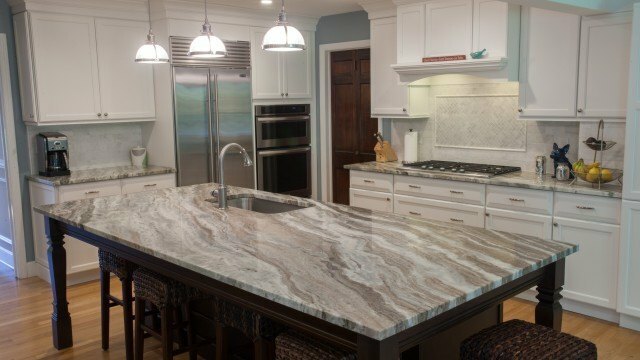 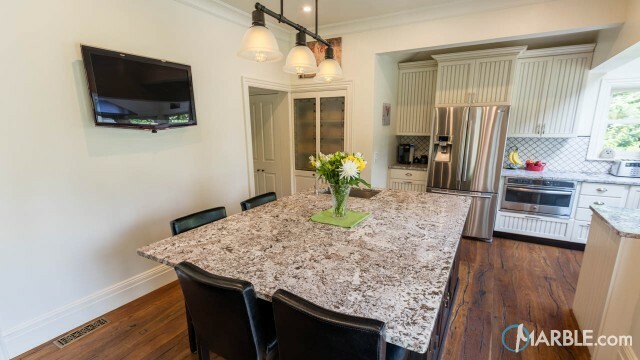 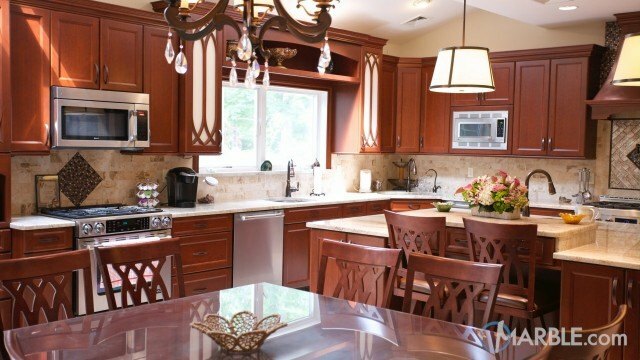 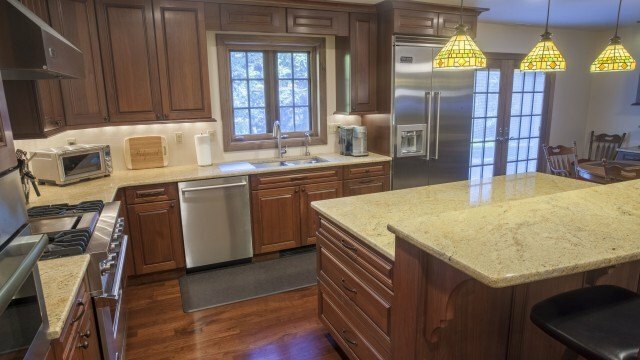 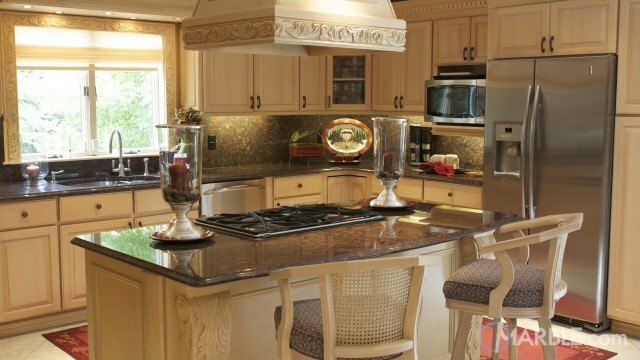 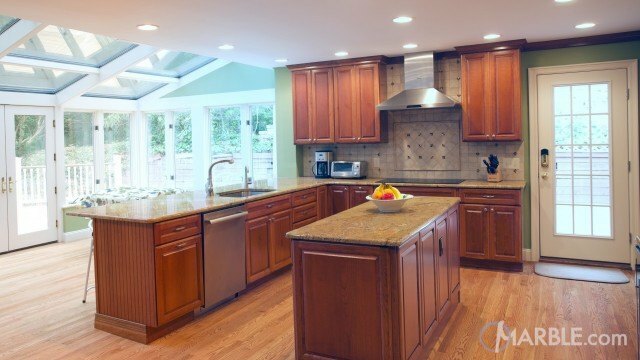 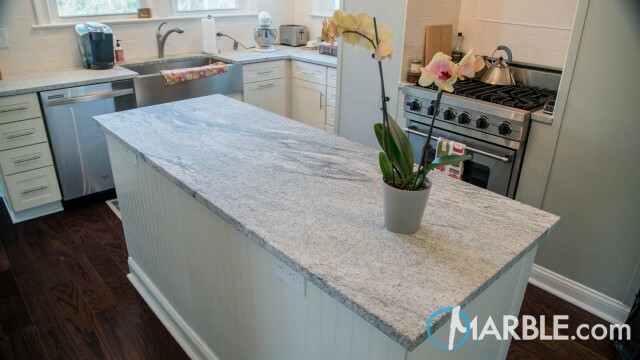 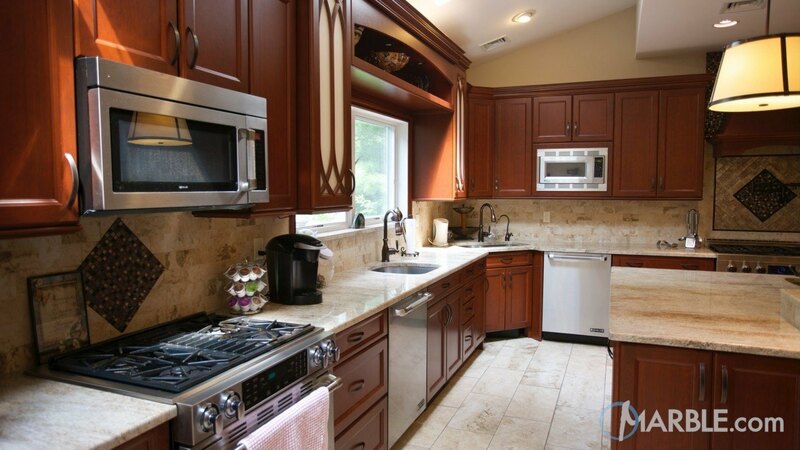 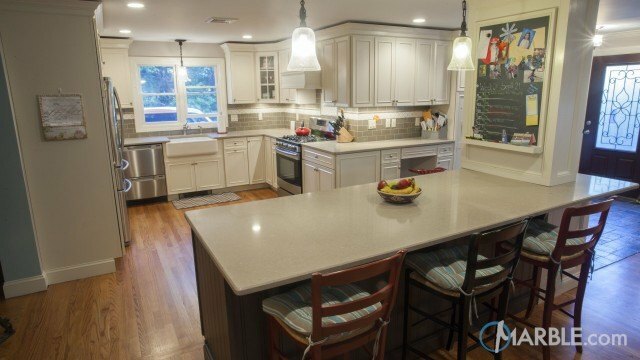 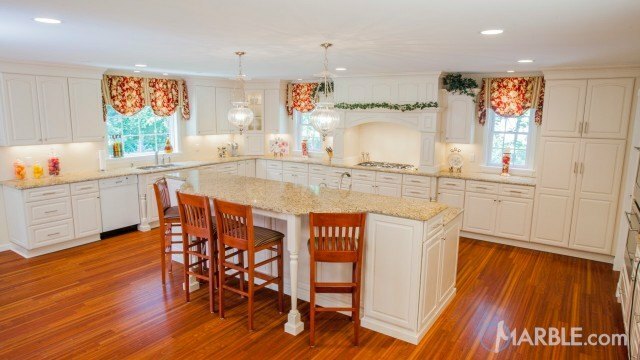 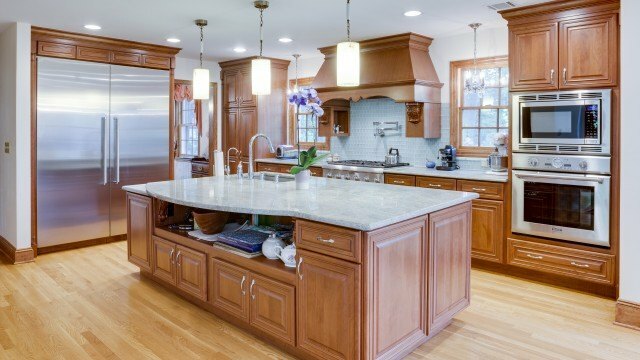 River Valley granite counter tops with 1/4 Round Edges covers the tops of the dark brown cabinets on the center island. 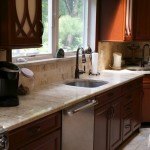 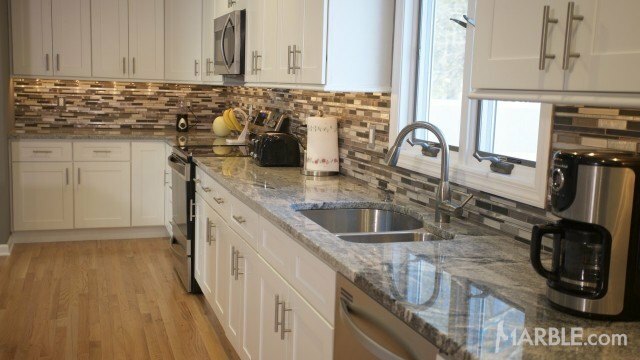 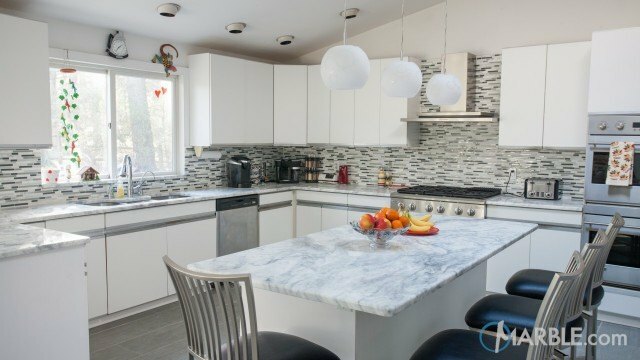 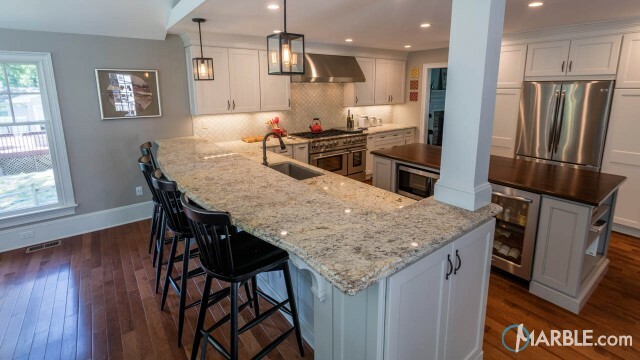 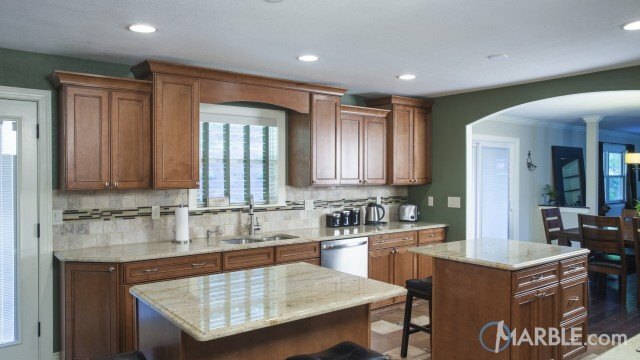 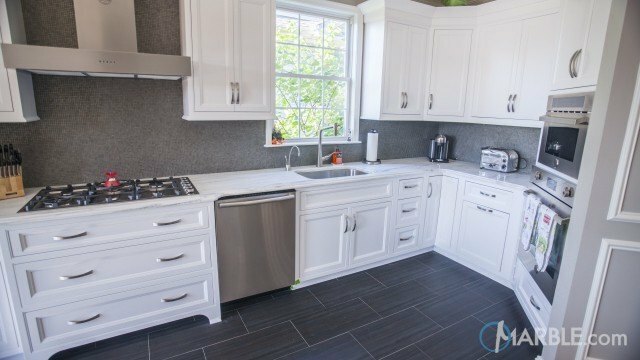 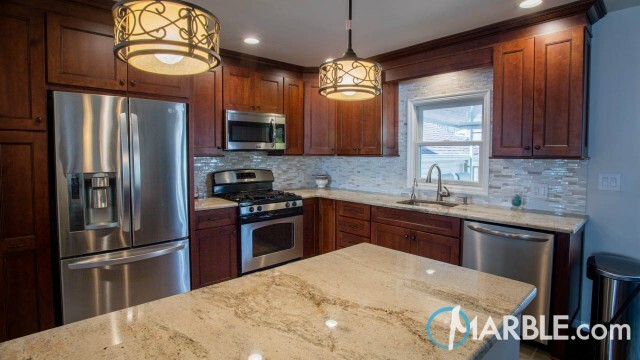 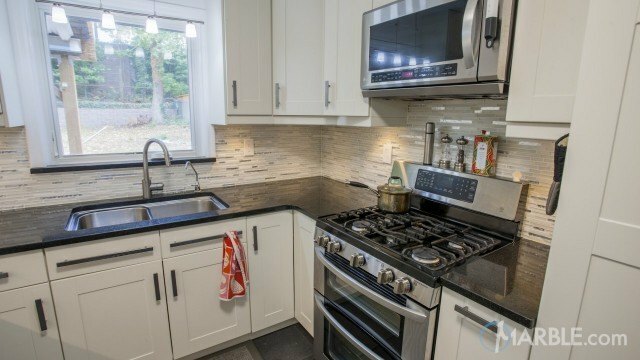 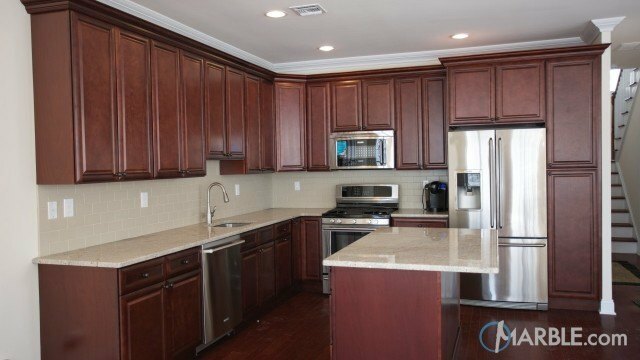 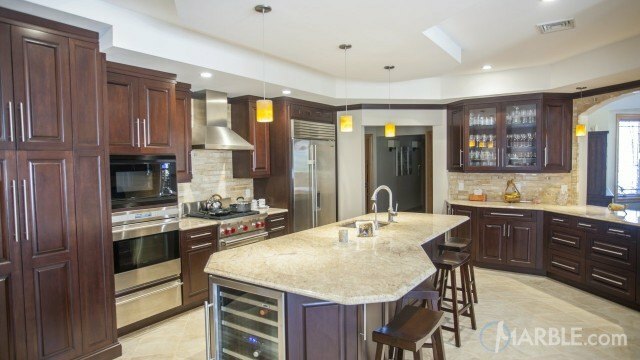 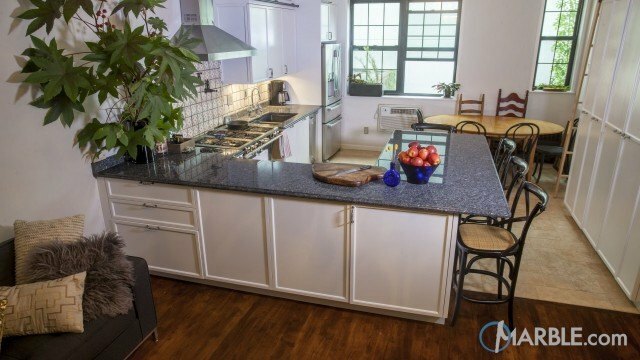 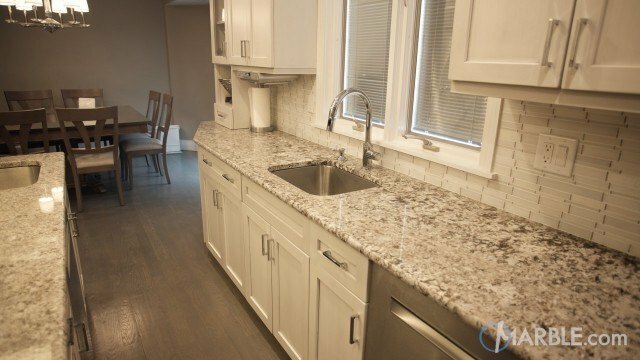 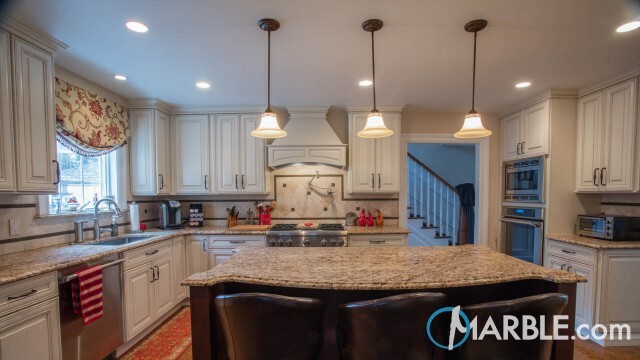 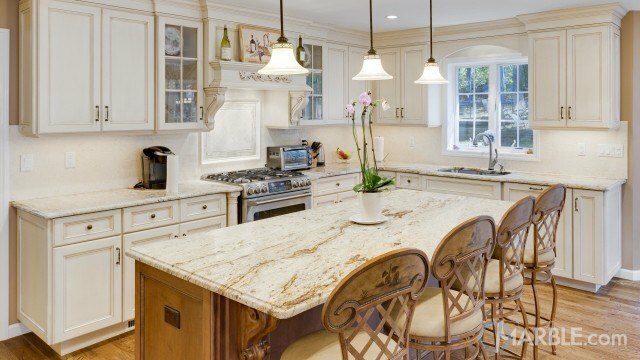 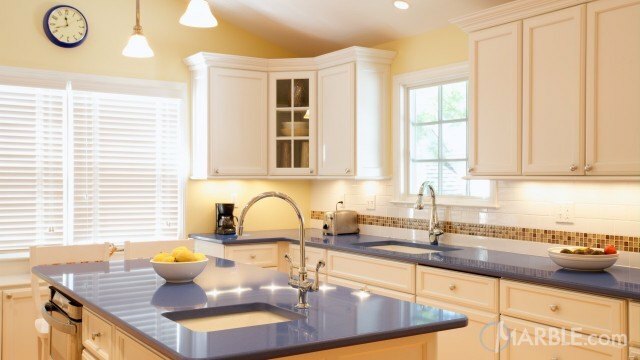 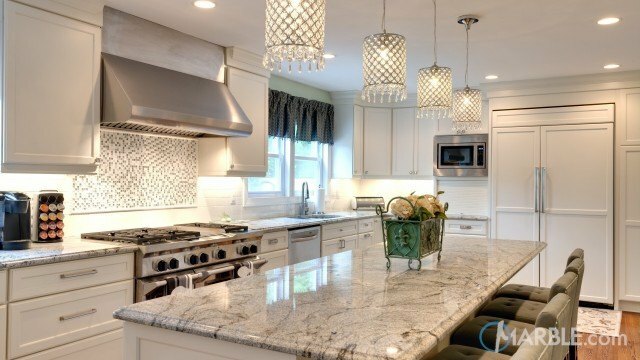 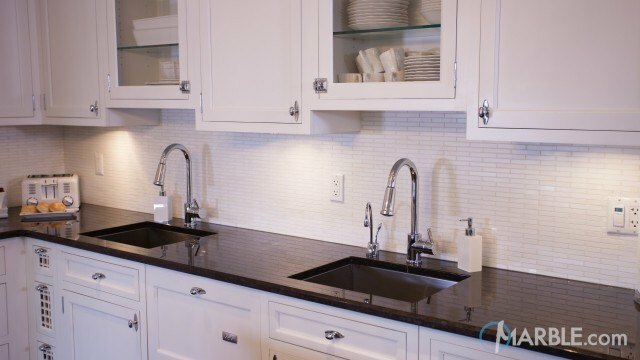 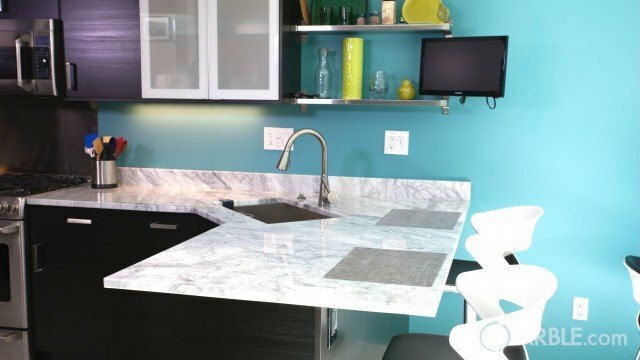 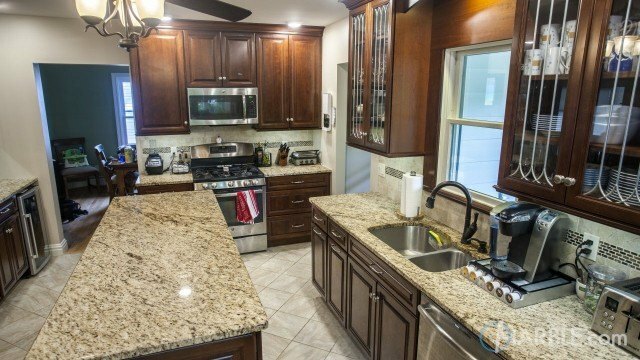 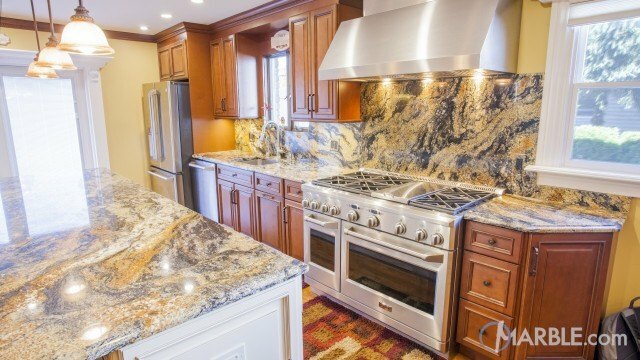 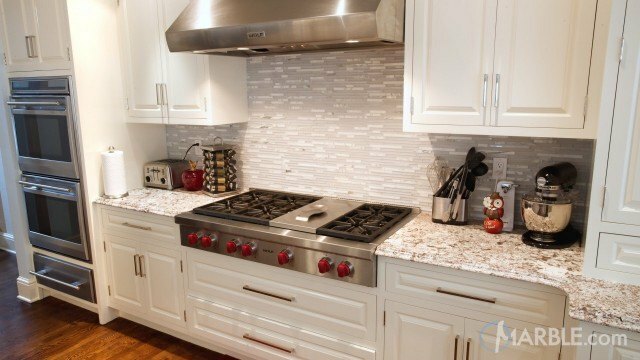 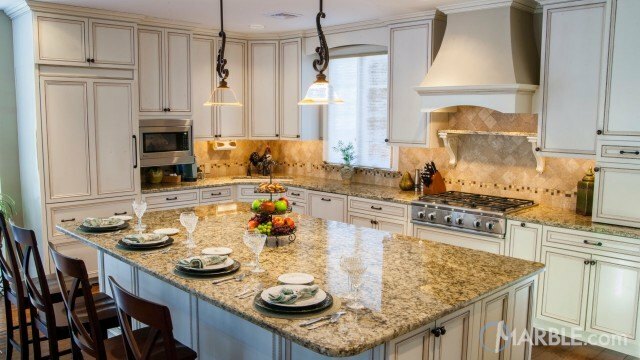 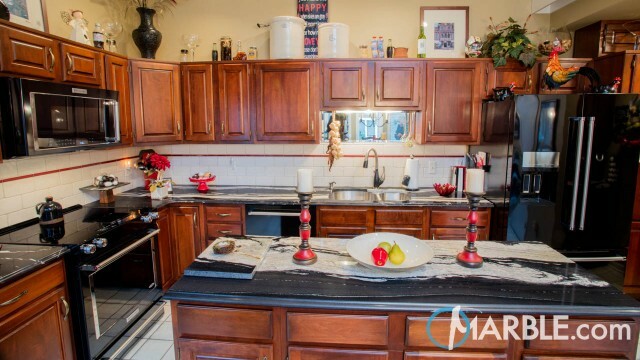 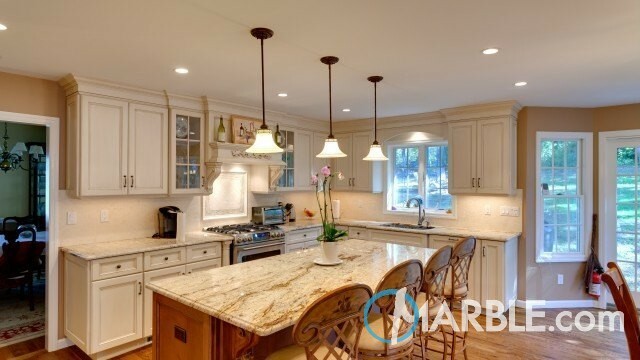 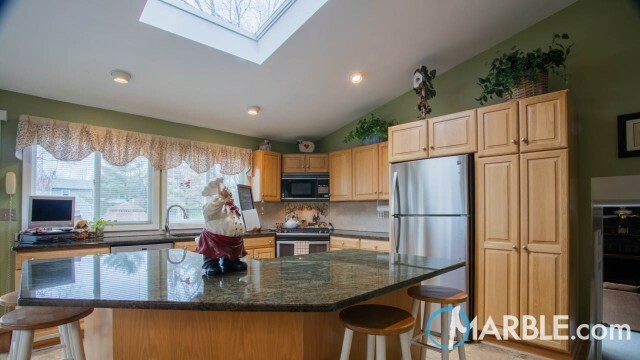 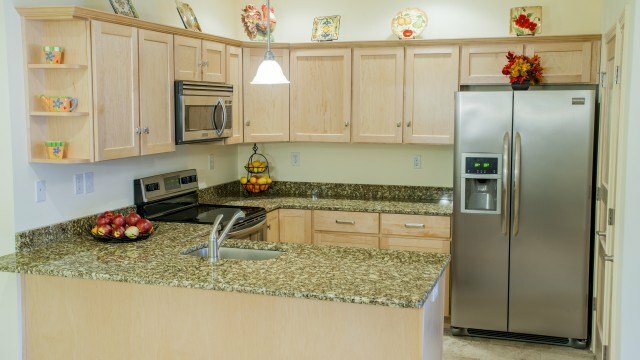 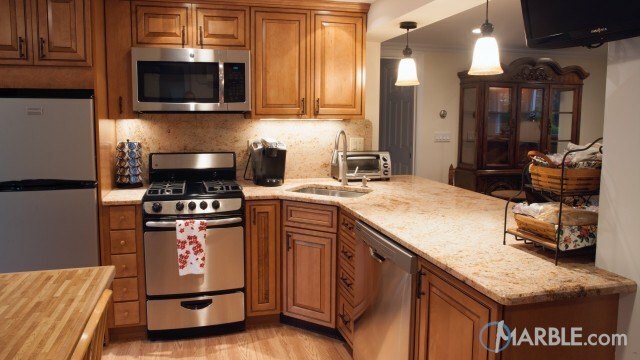 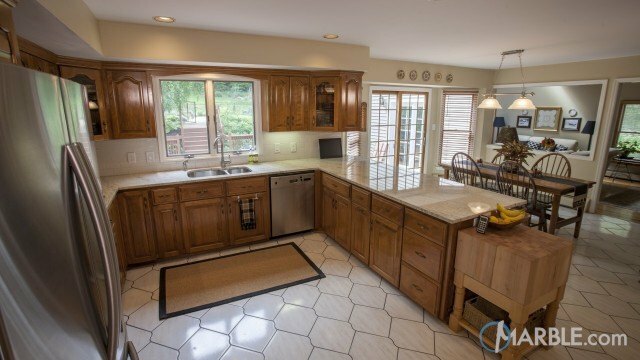 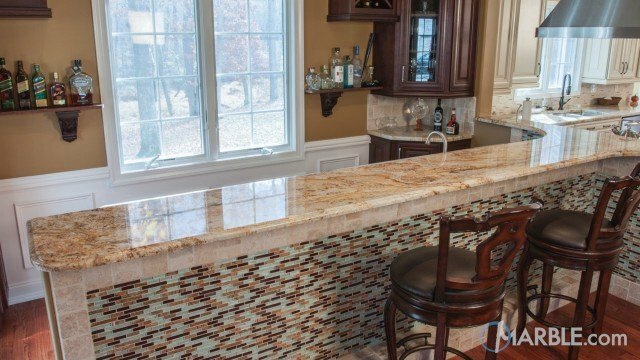 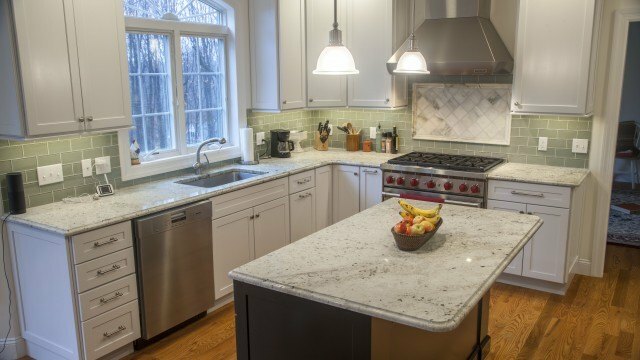 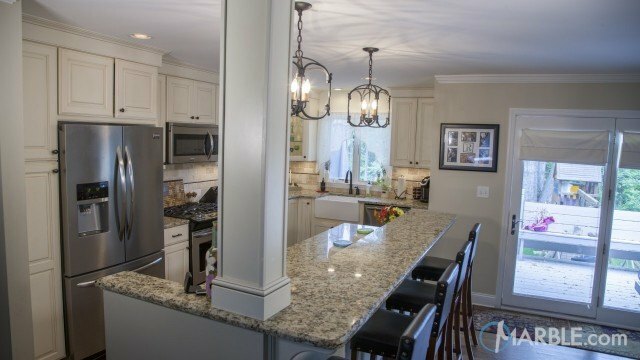 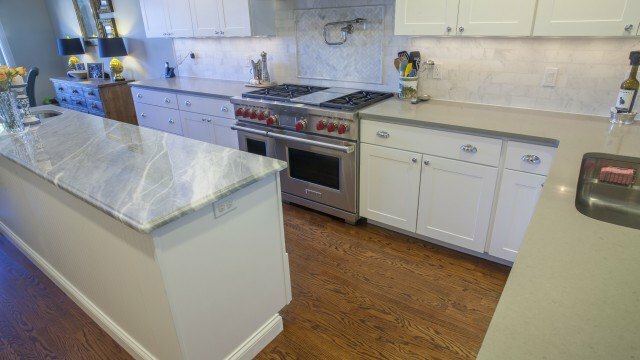 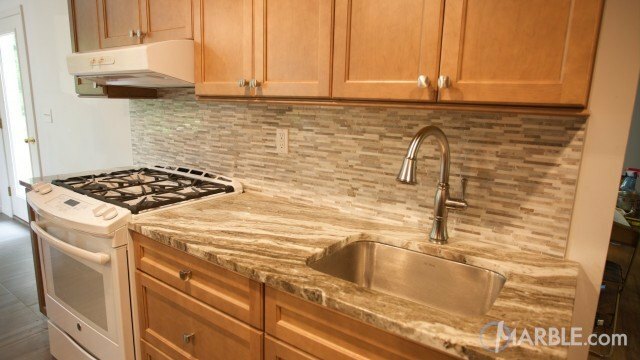 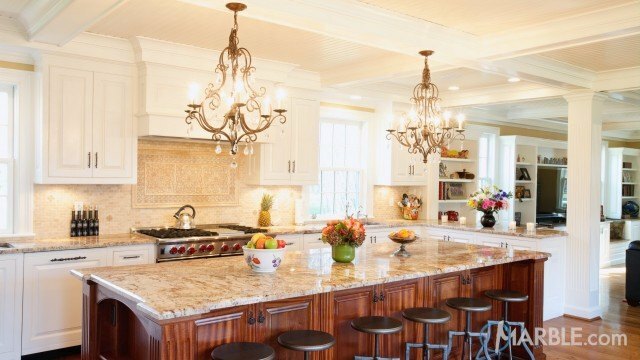 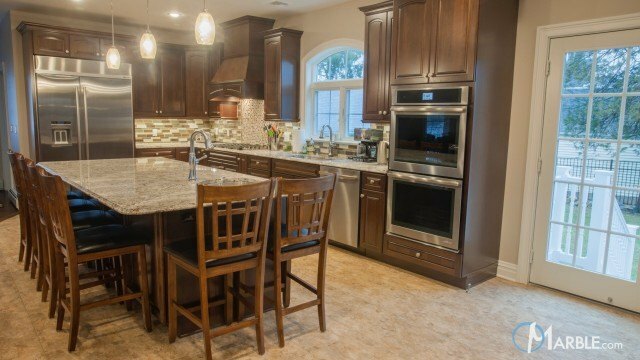 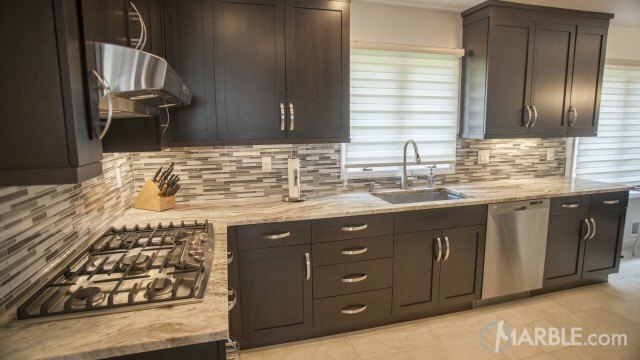 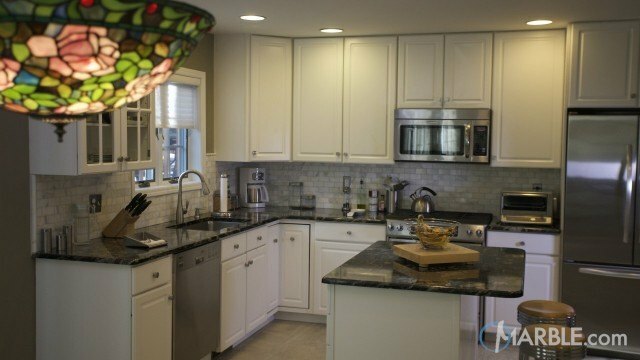 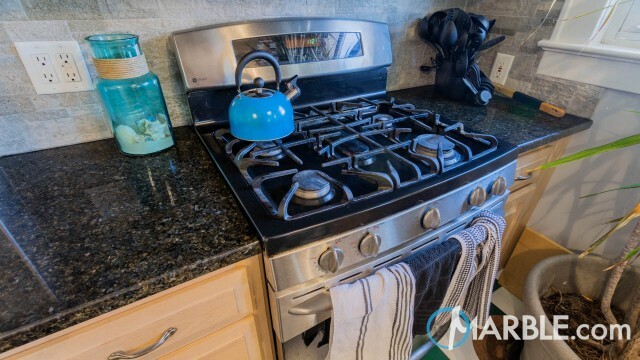 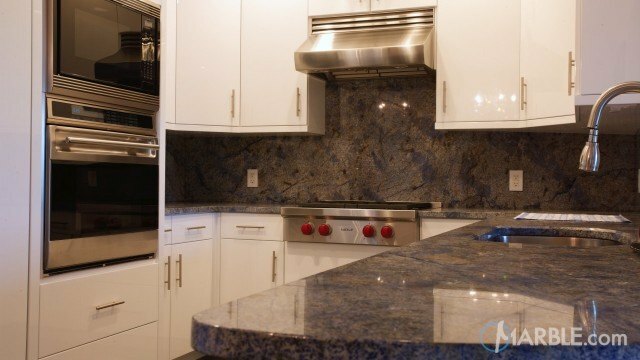 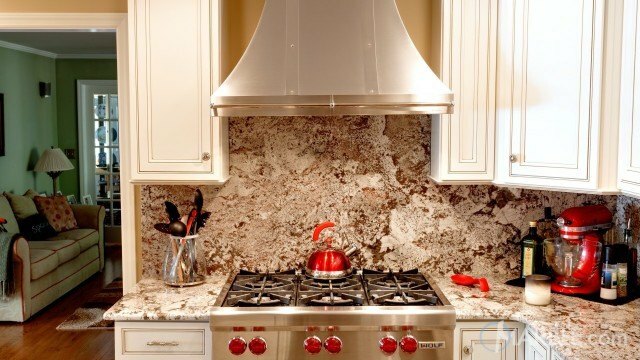 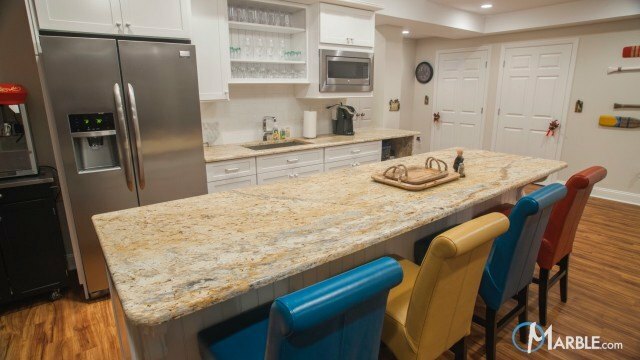 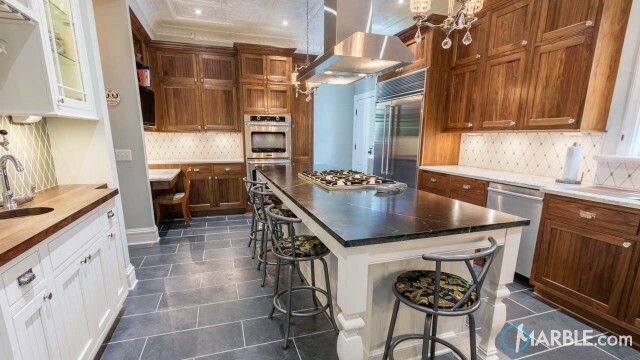 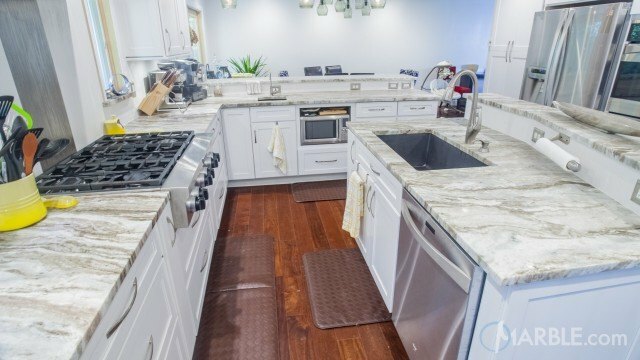 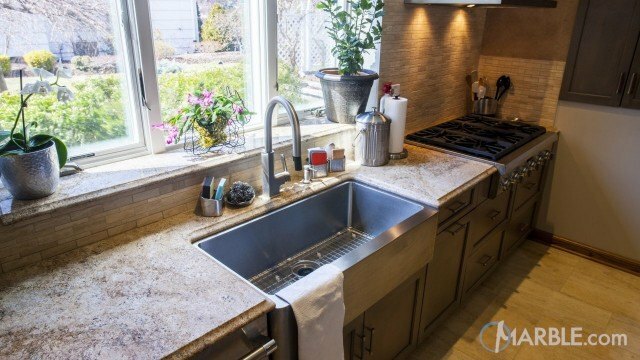 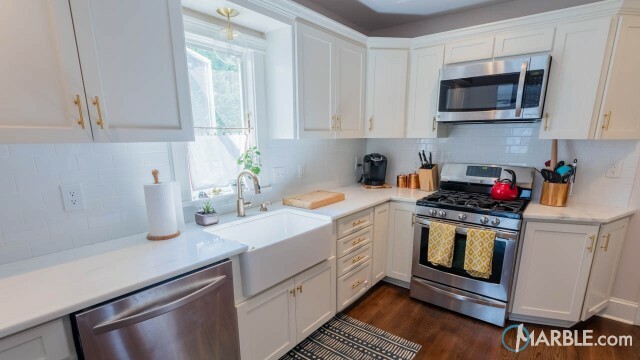 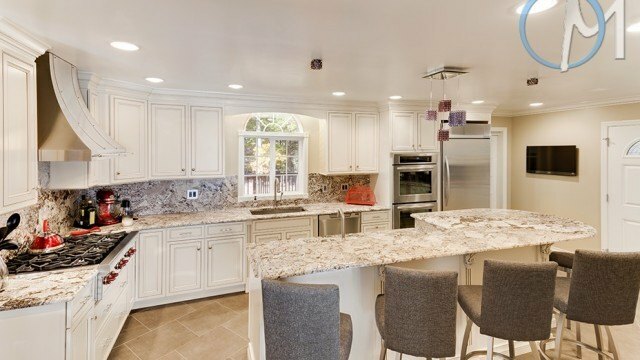 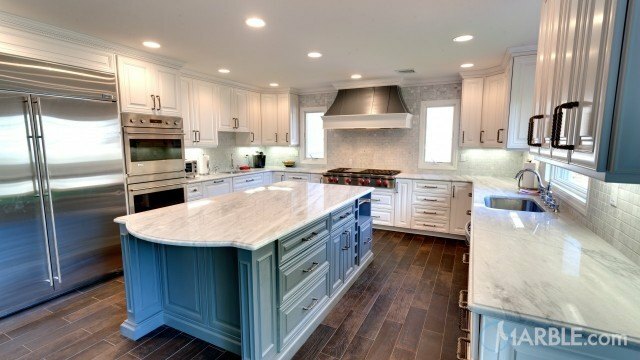 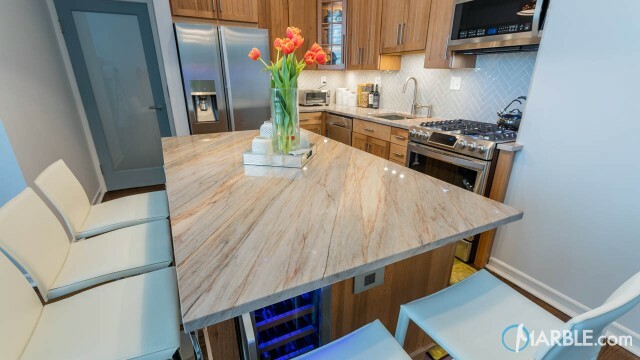 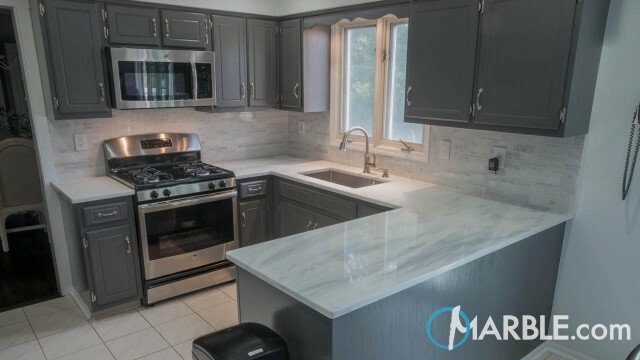 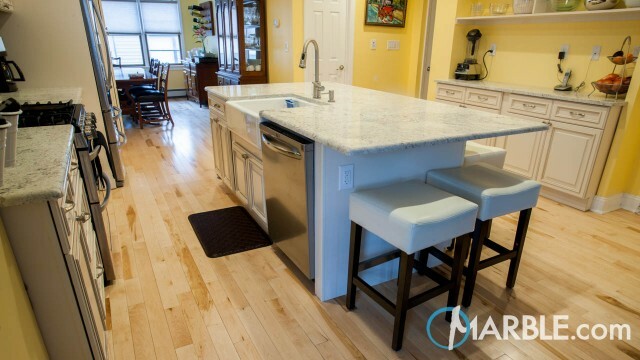 The brown and white tiles of the backsplash and the stainless appliances are a perfect combination that fit harmoniously with the white primary color and brown streaks of the granite counter top. 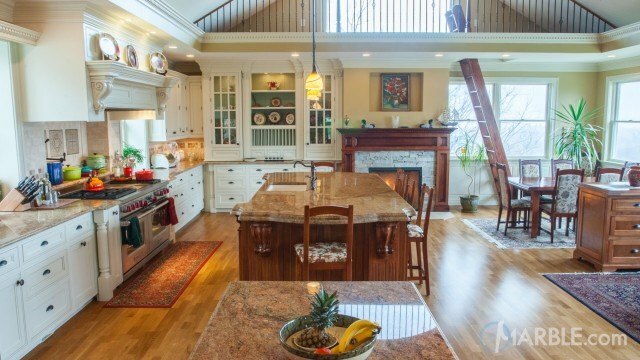 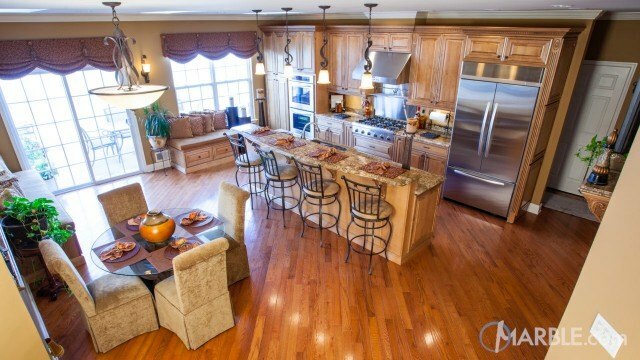 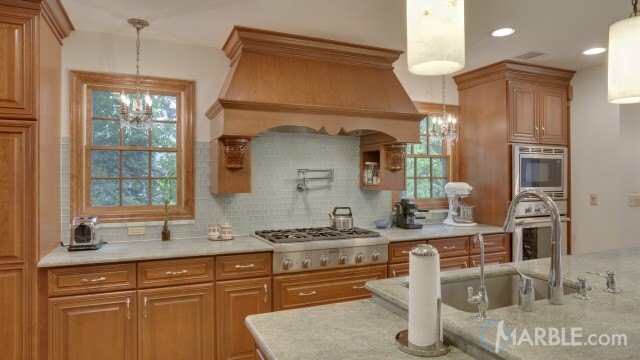 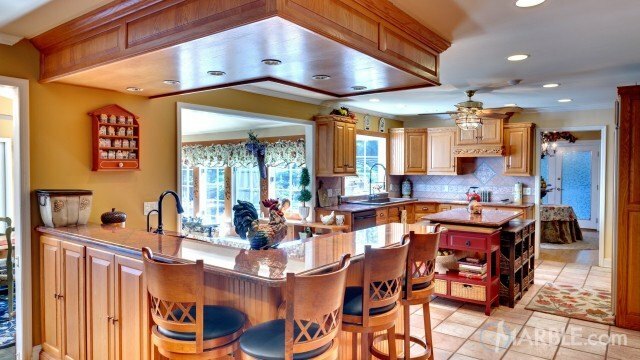 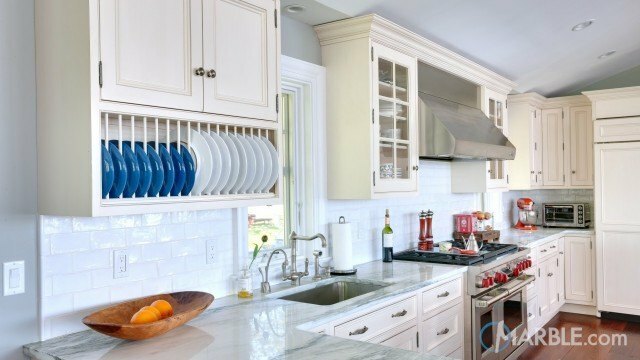 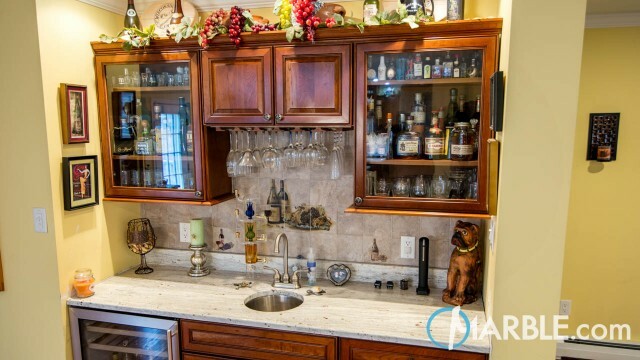 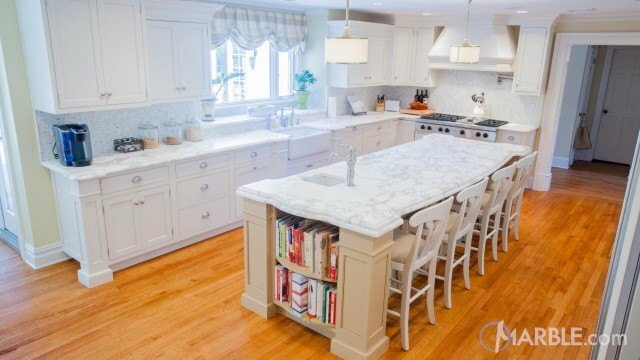 The large kitchen window is framed by patterned cabinet doors and a shelf holding treasures to complete the room.